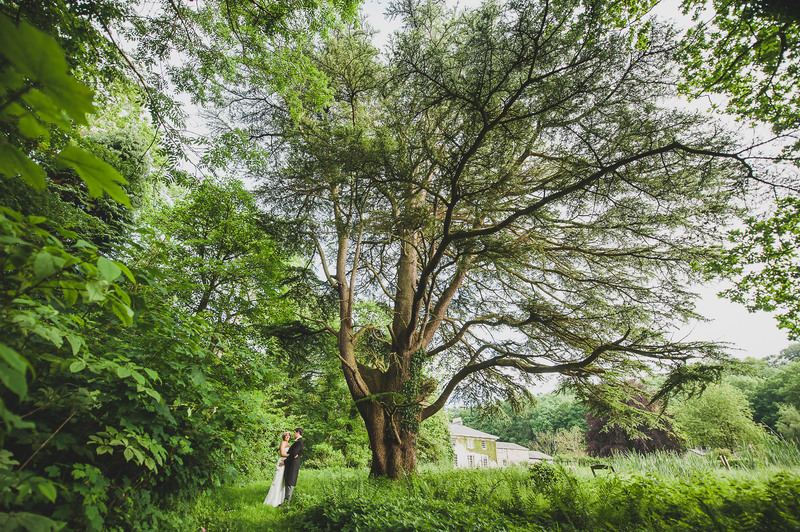 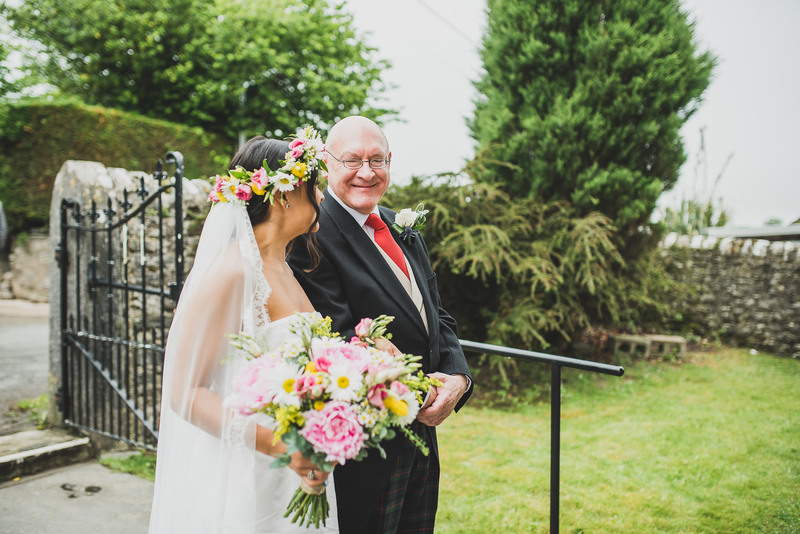 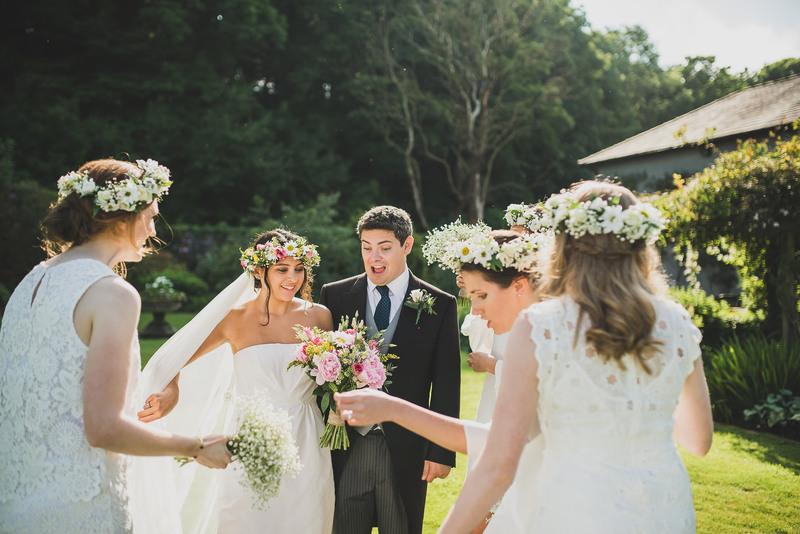 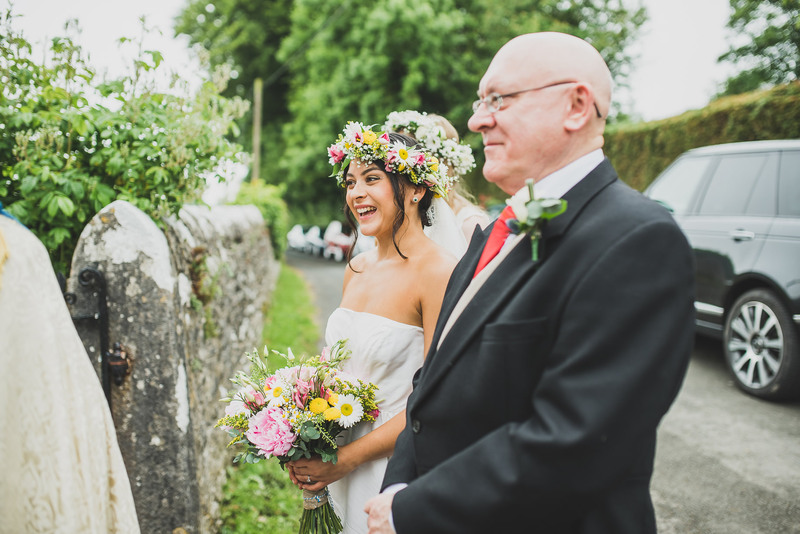 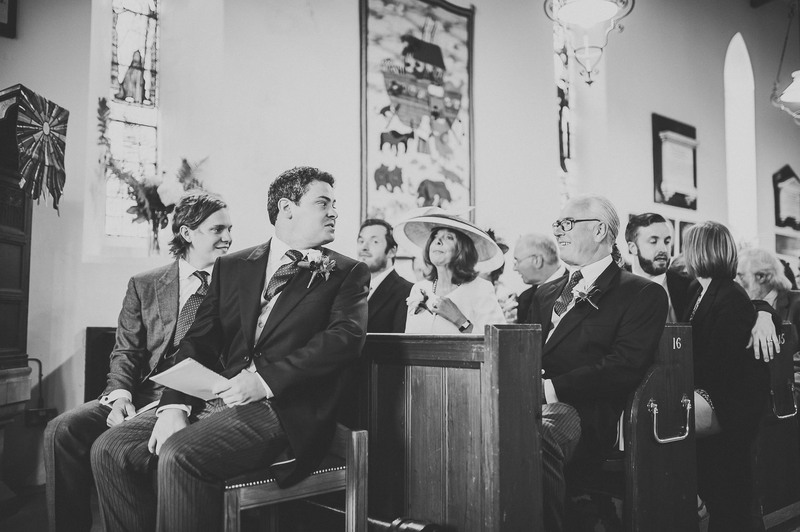 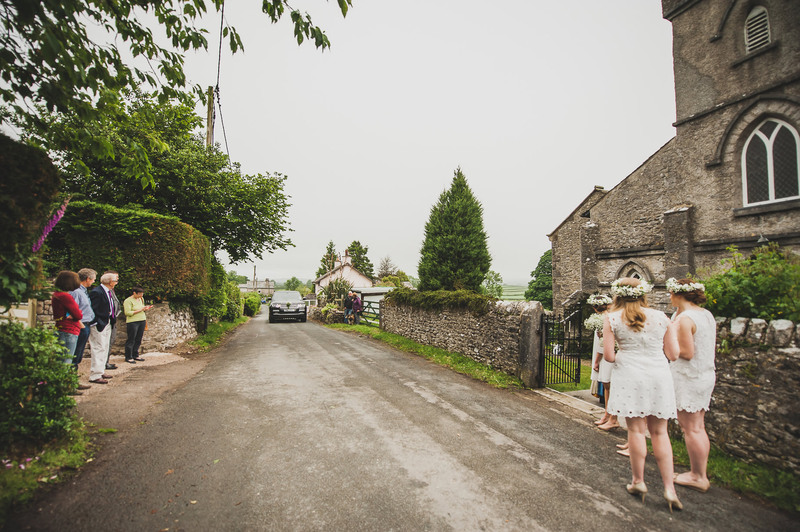 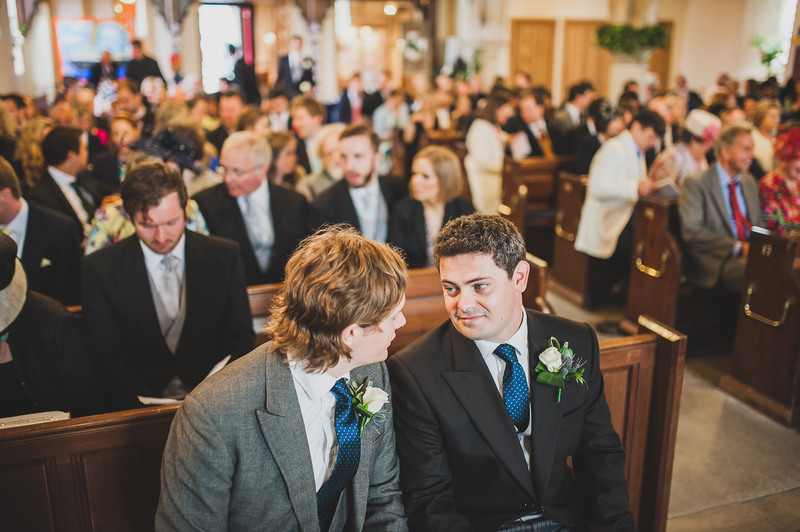 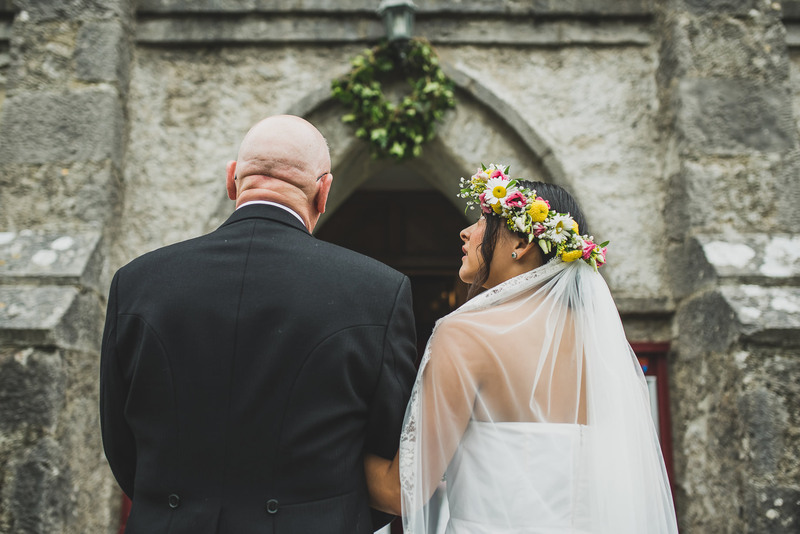 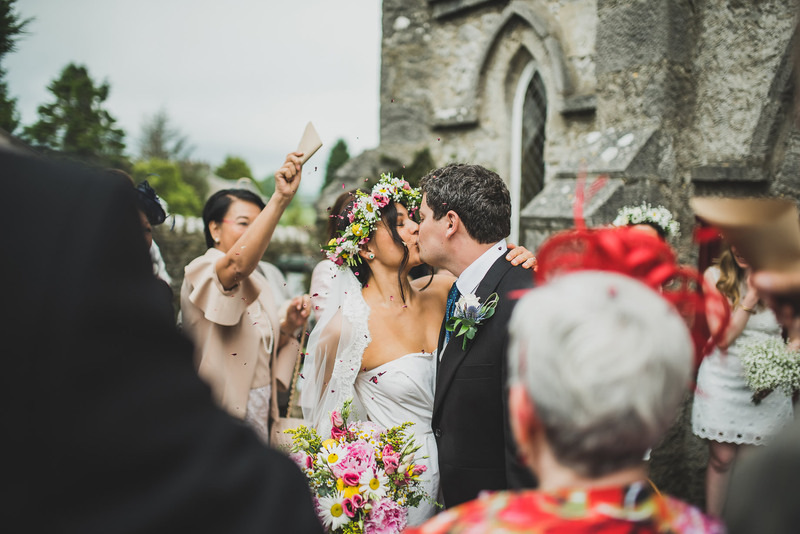 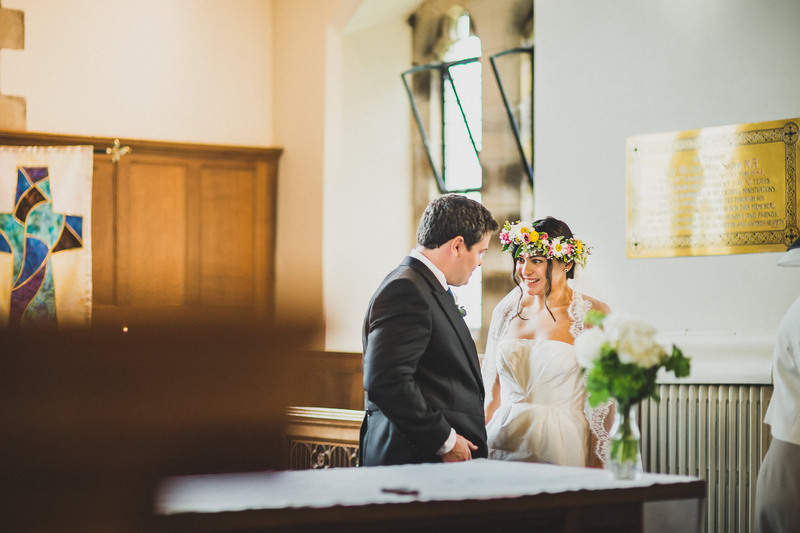 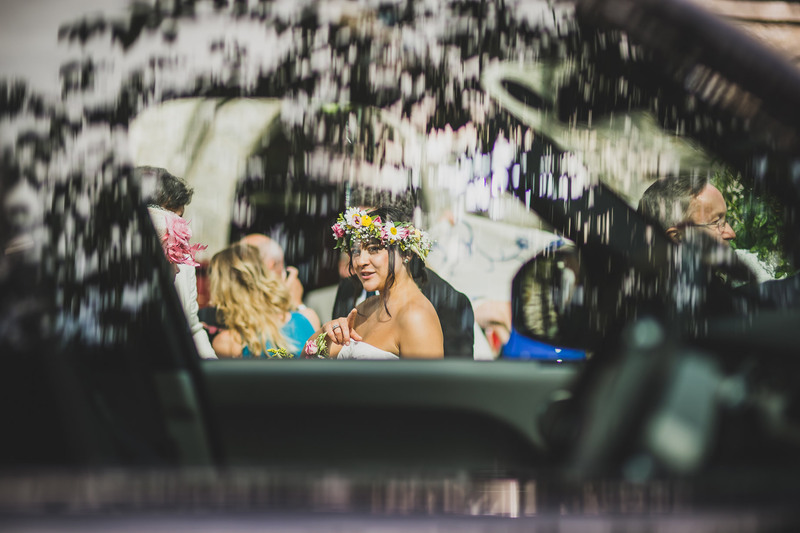 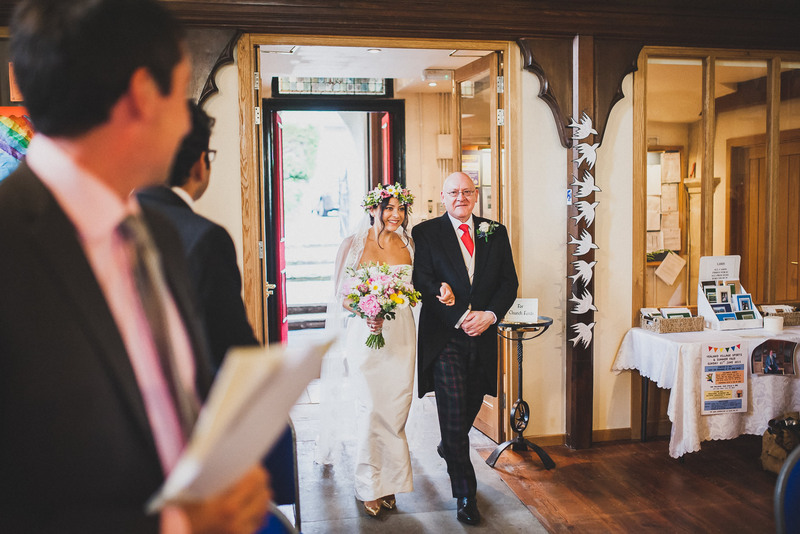 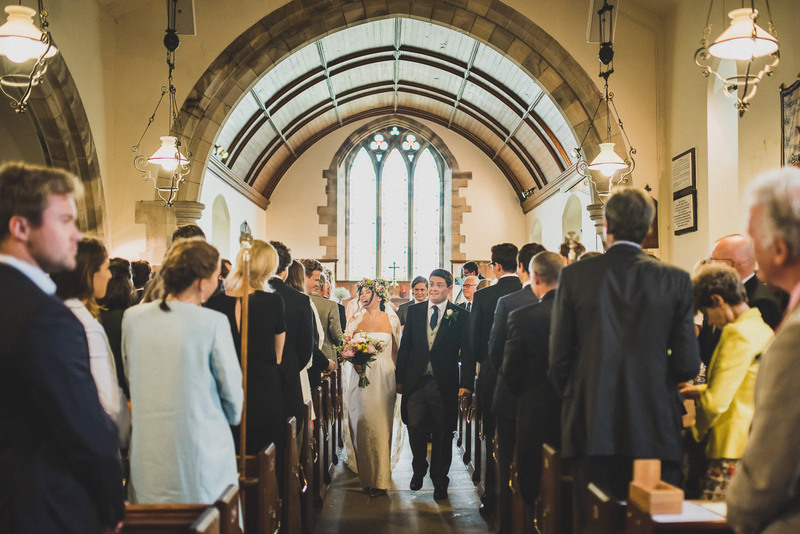 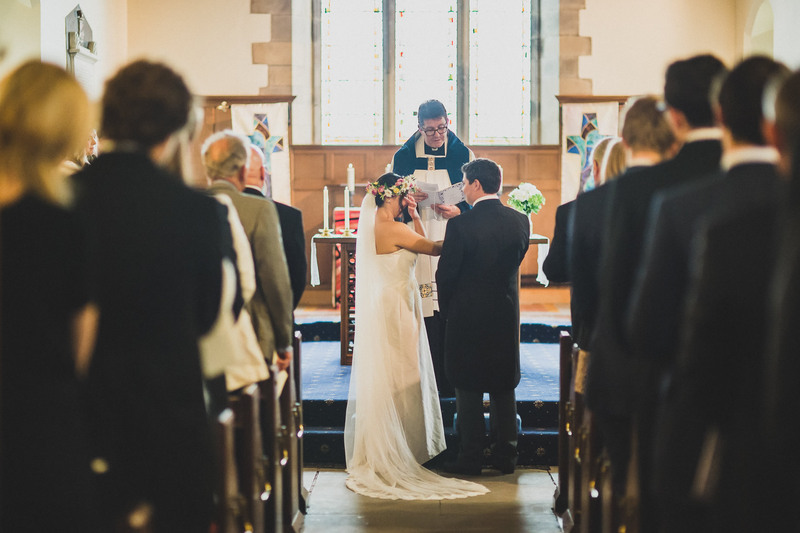 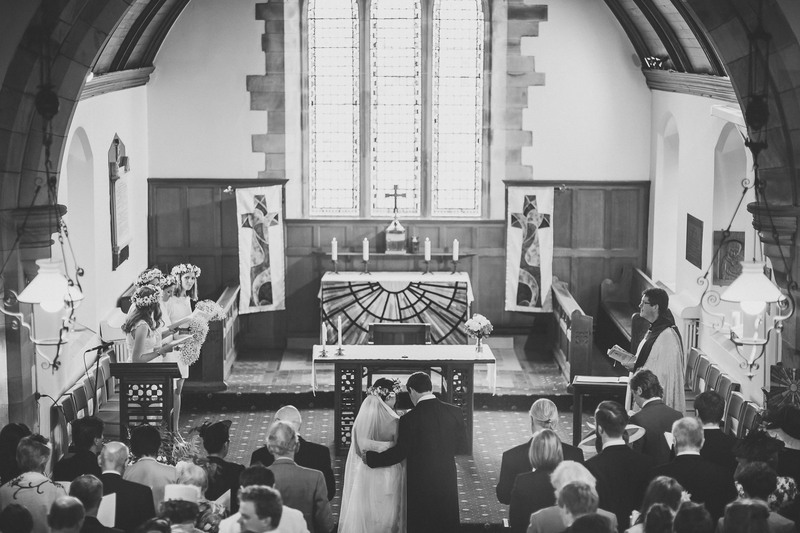 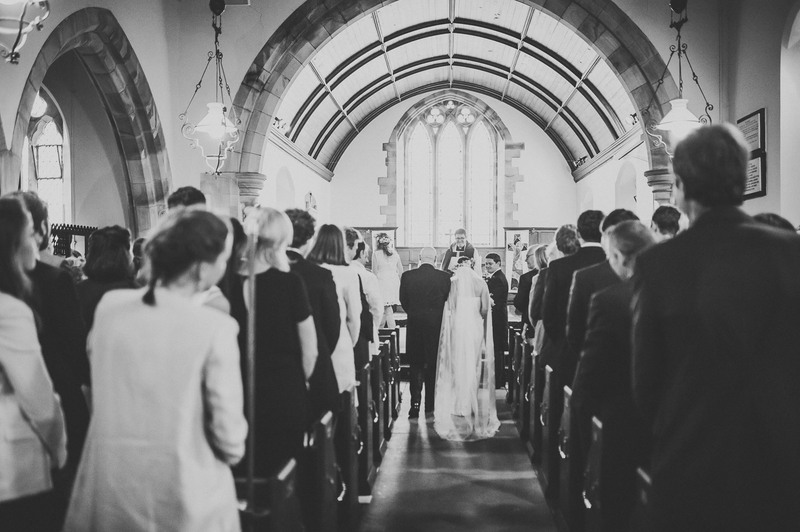 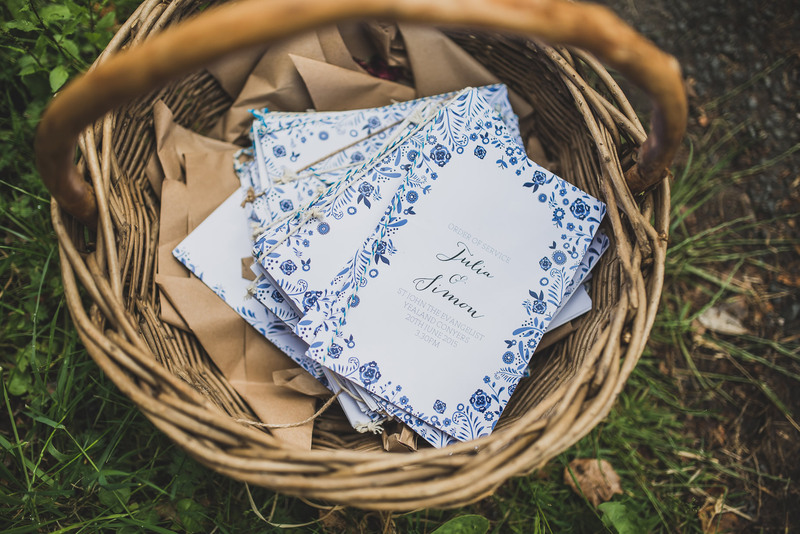 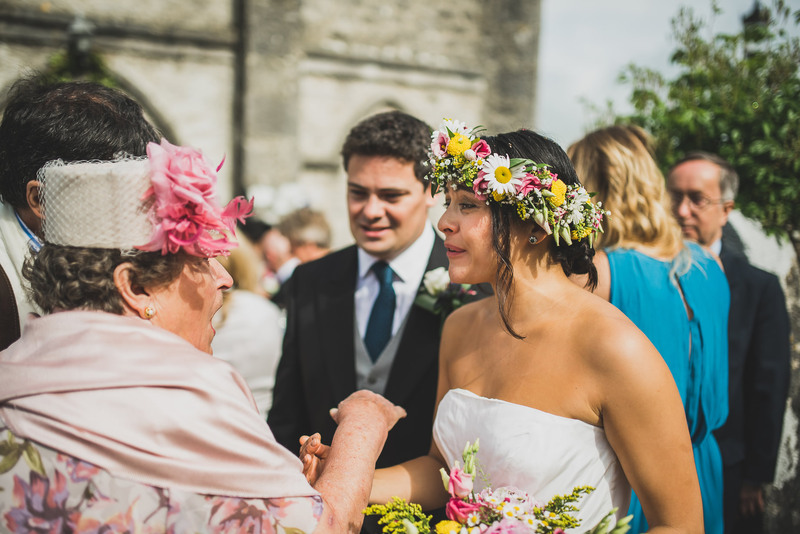 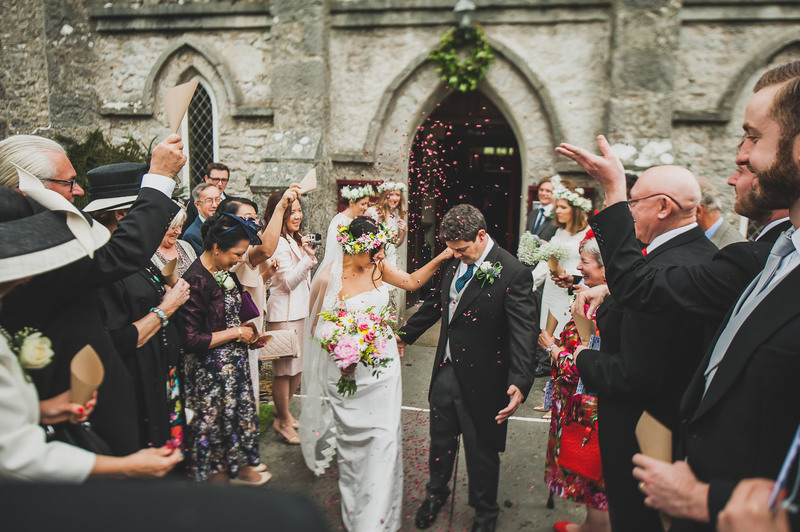 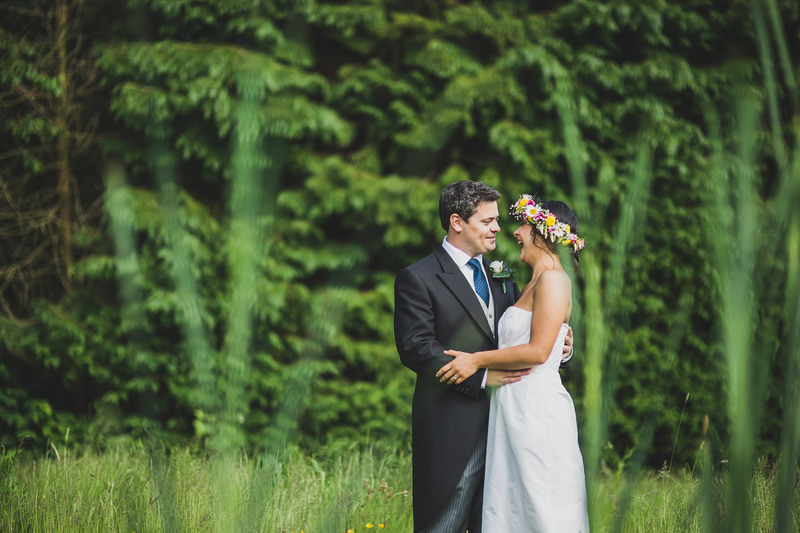 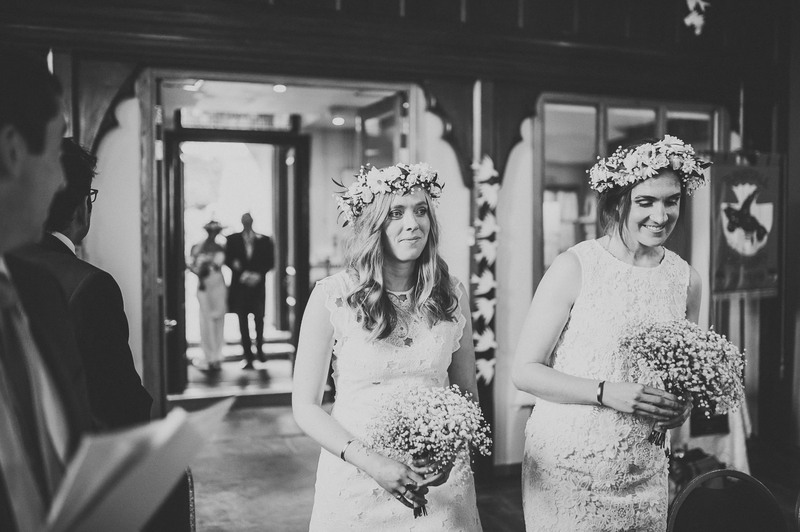 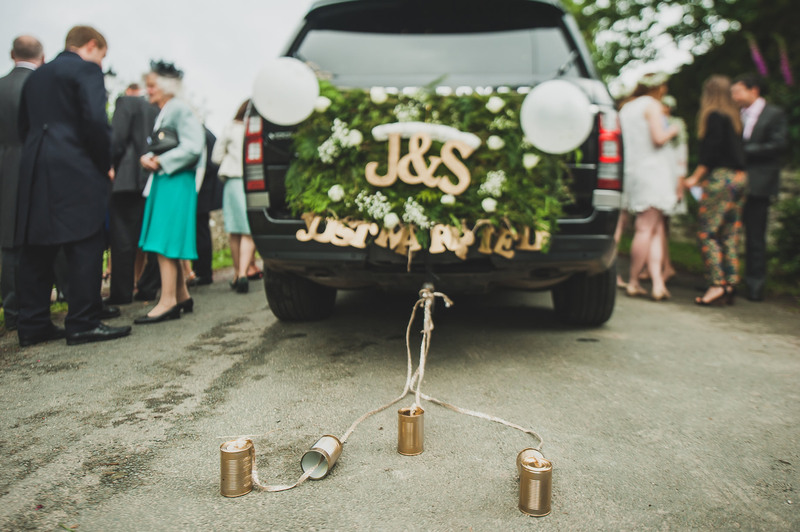 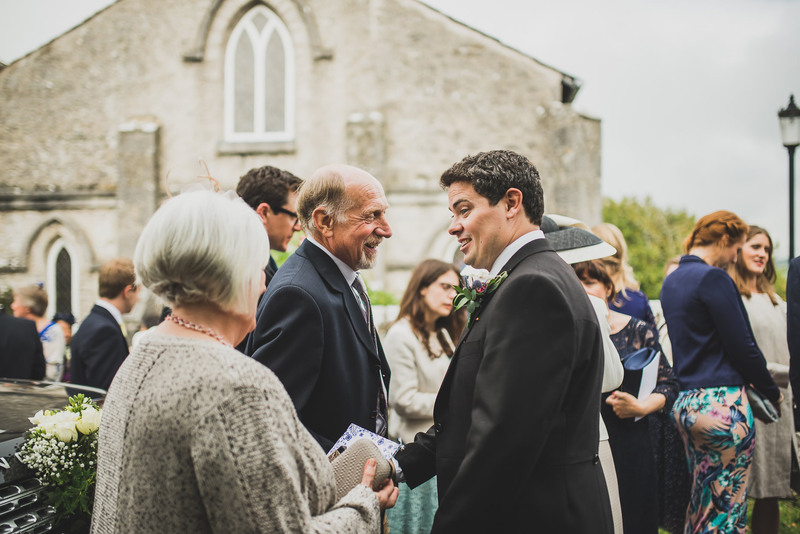 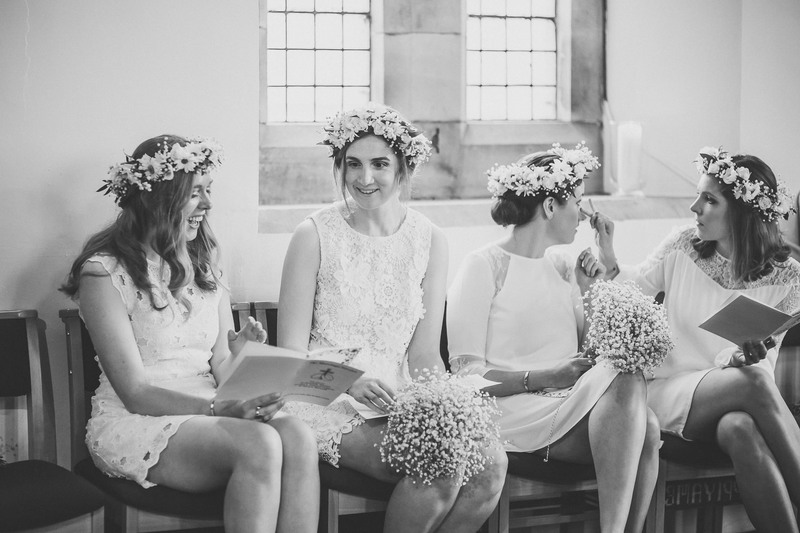 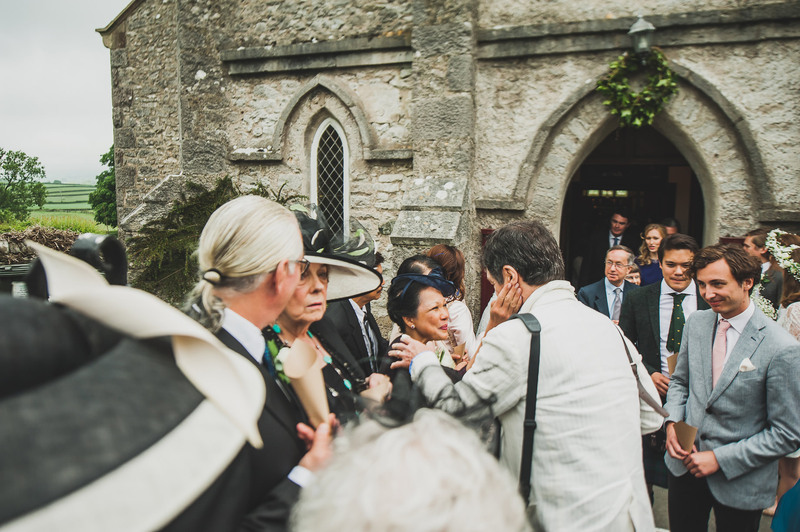 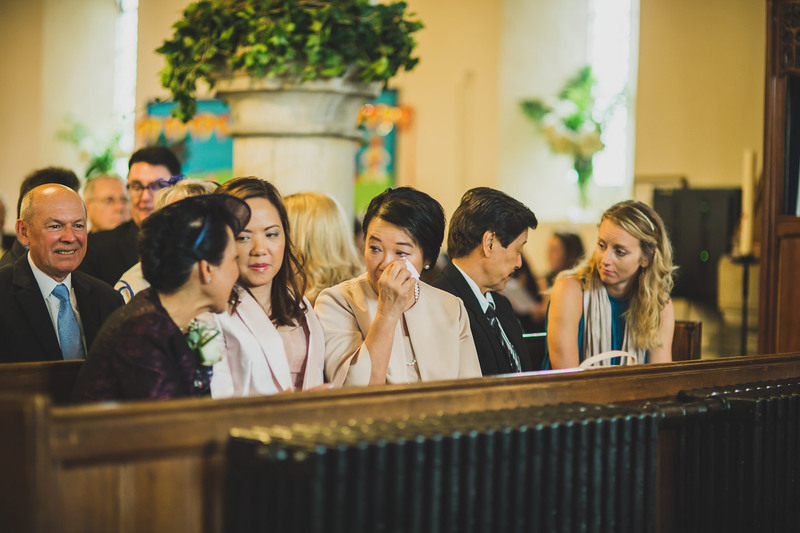 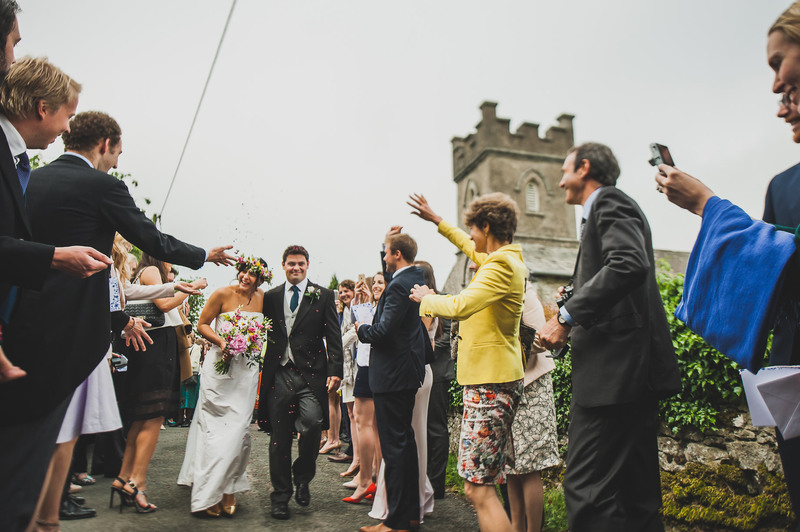 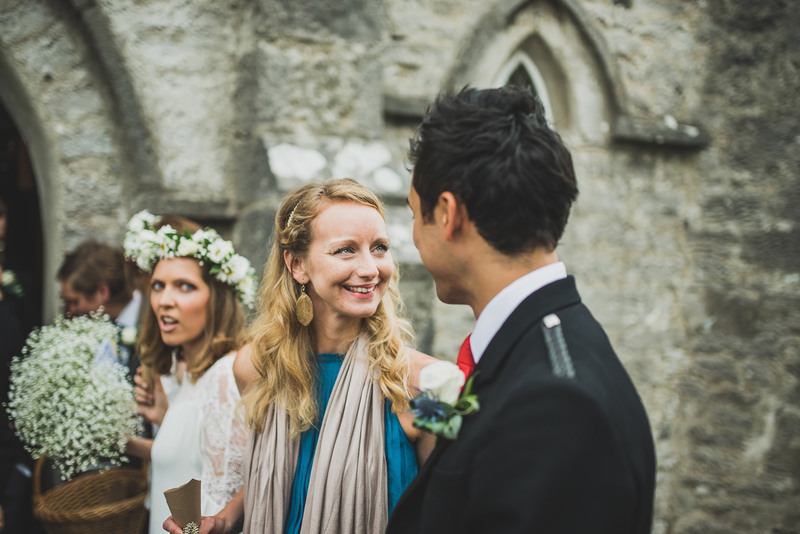 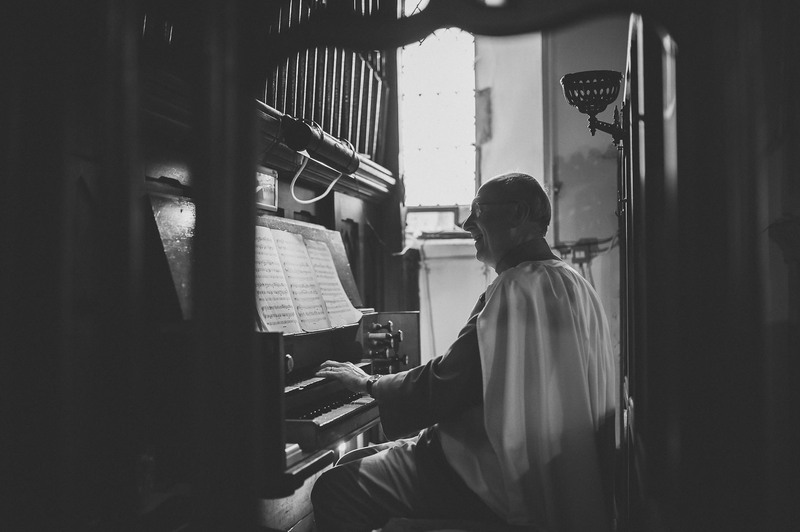 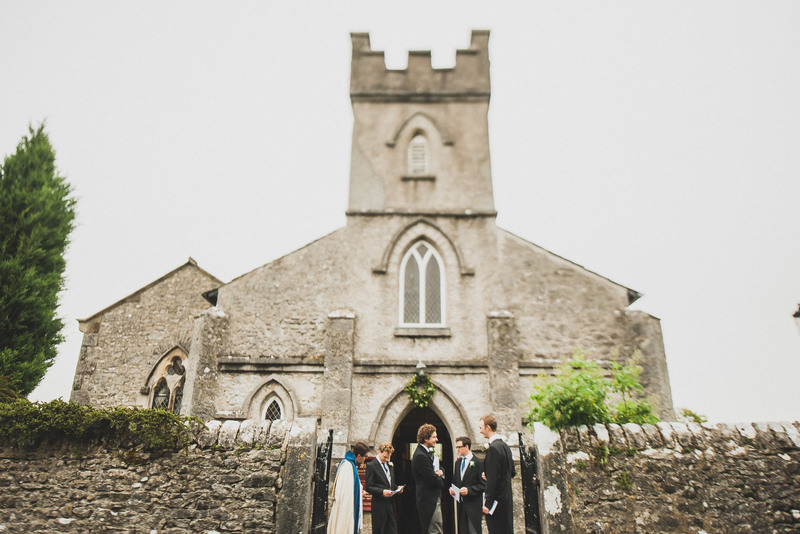 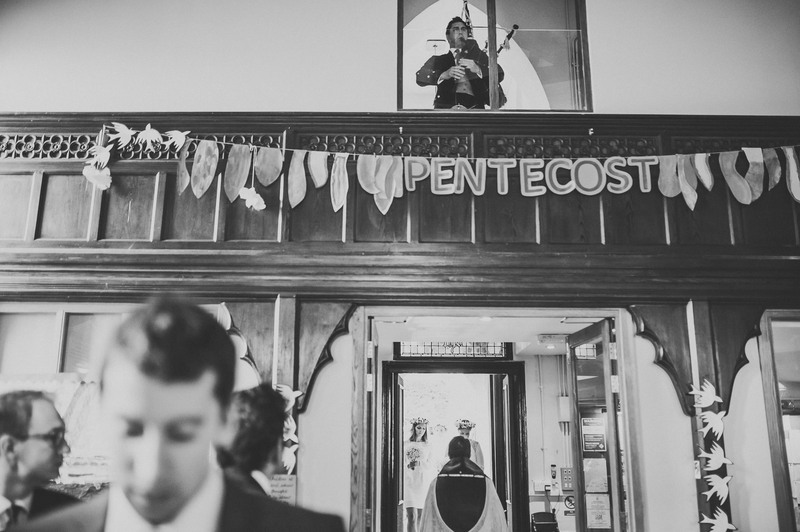 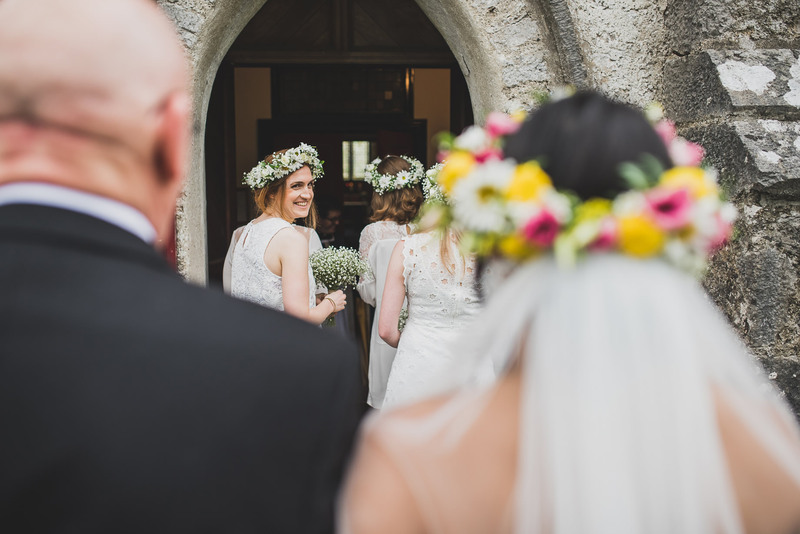 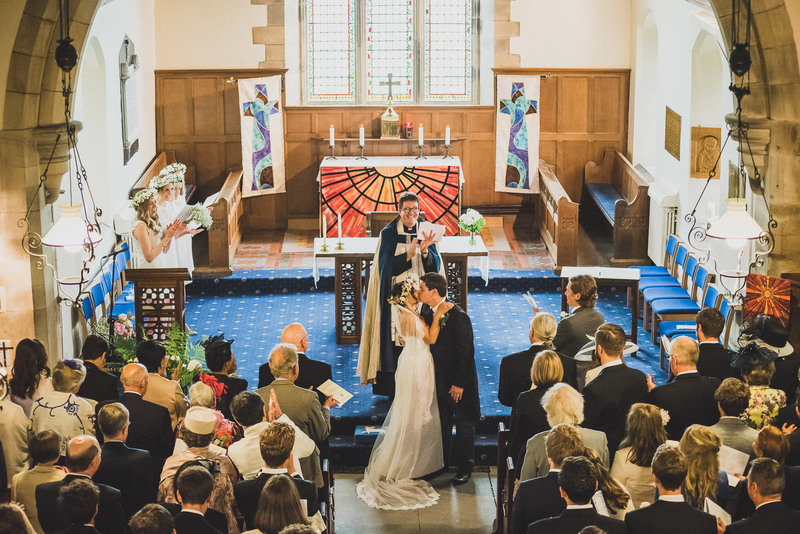 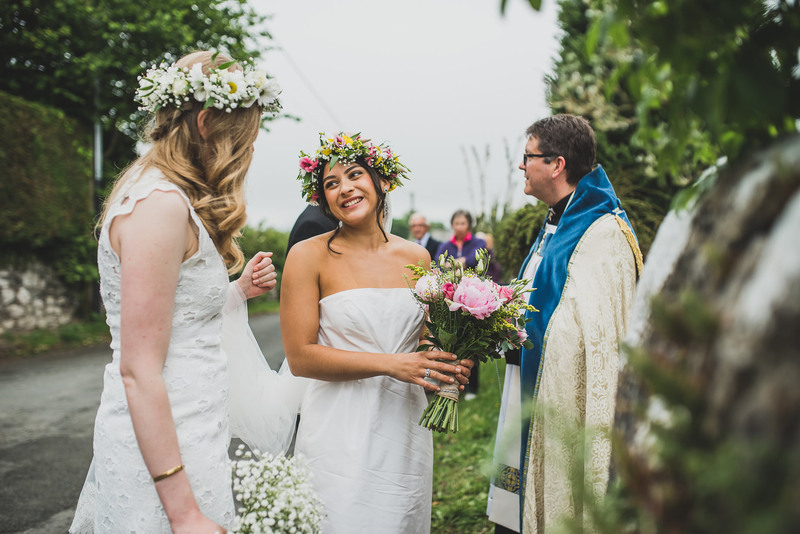 Julia and Simon got married at the quaint St John’s Church in the village of Yealand Conyers. 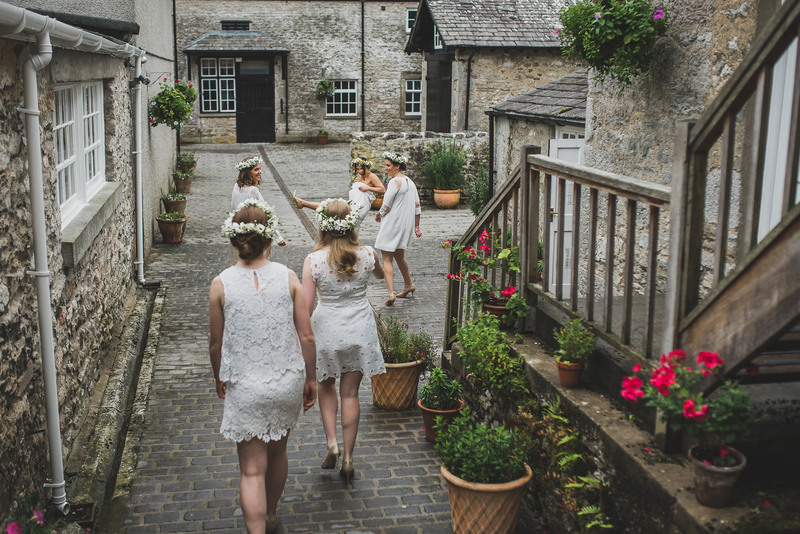 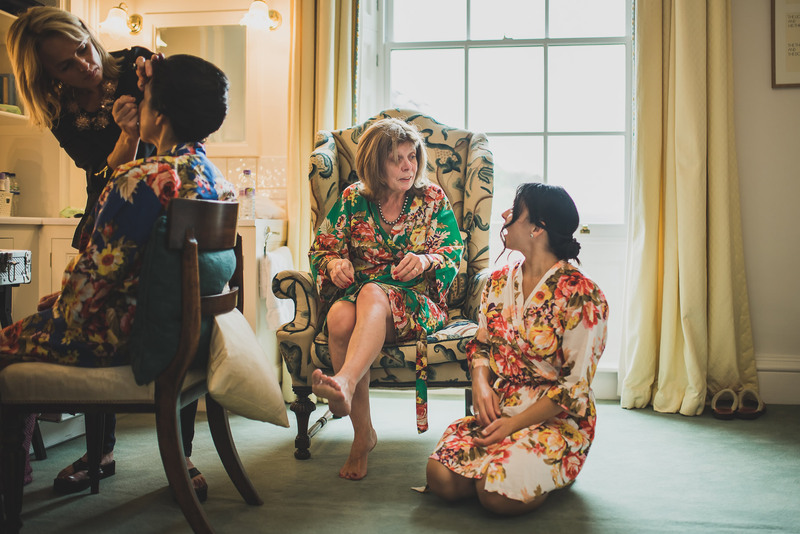 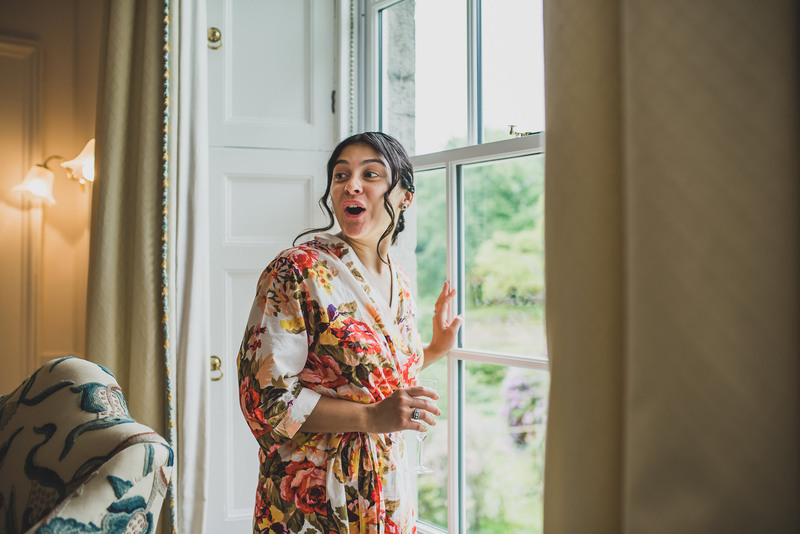 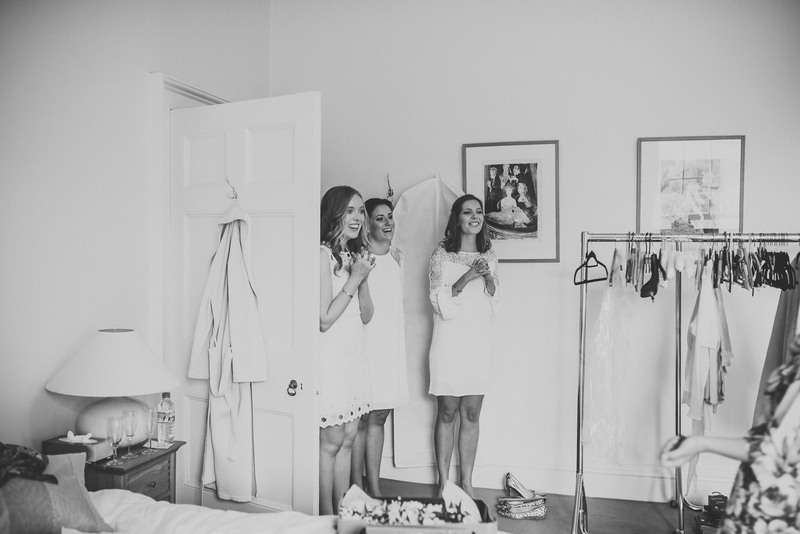 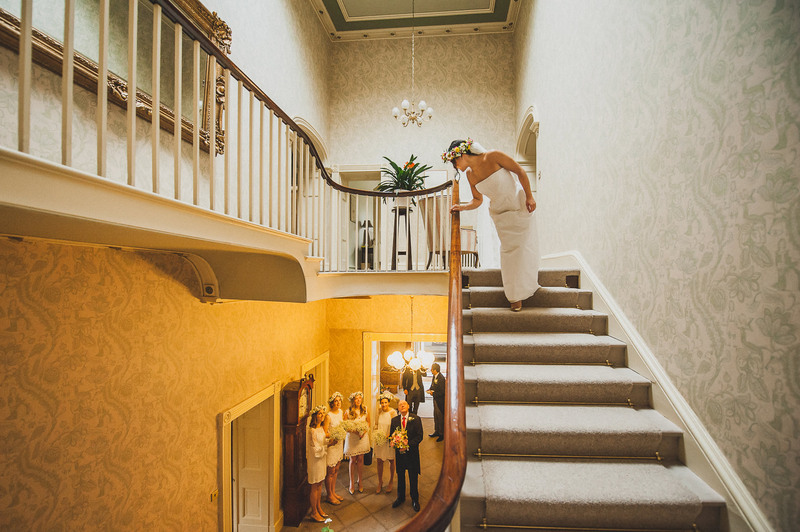 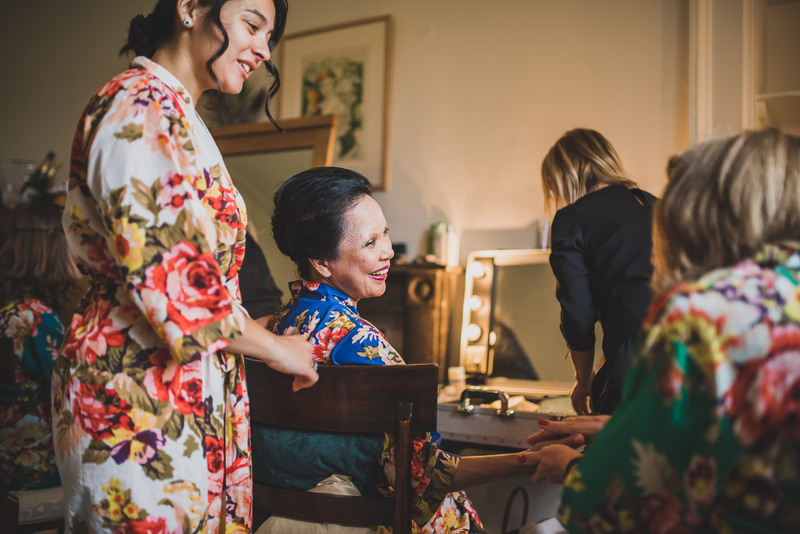 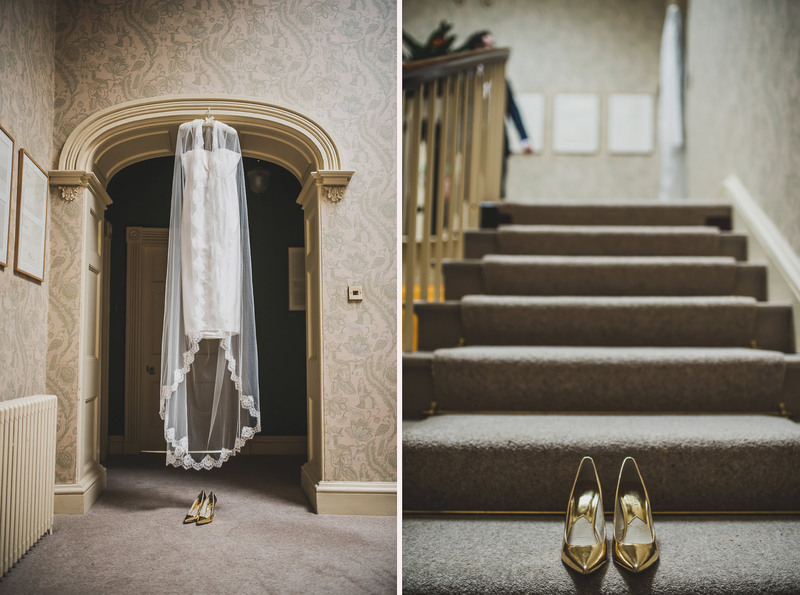 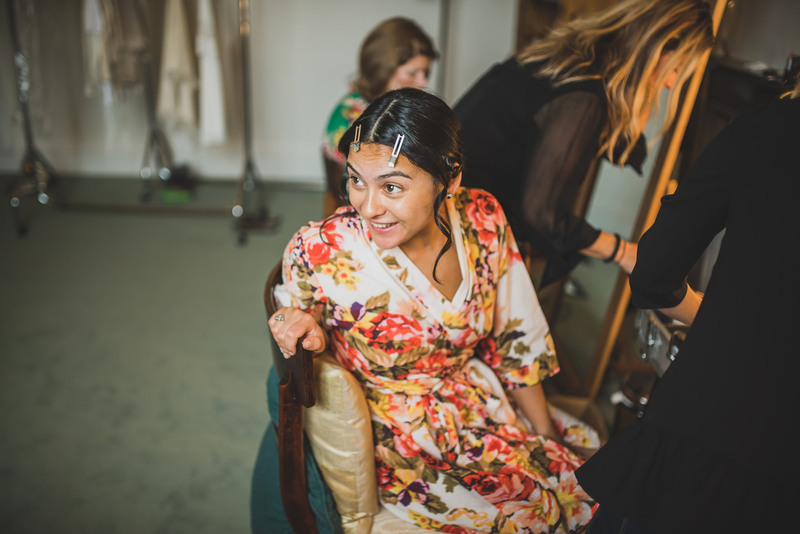 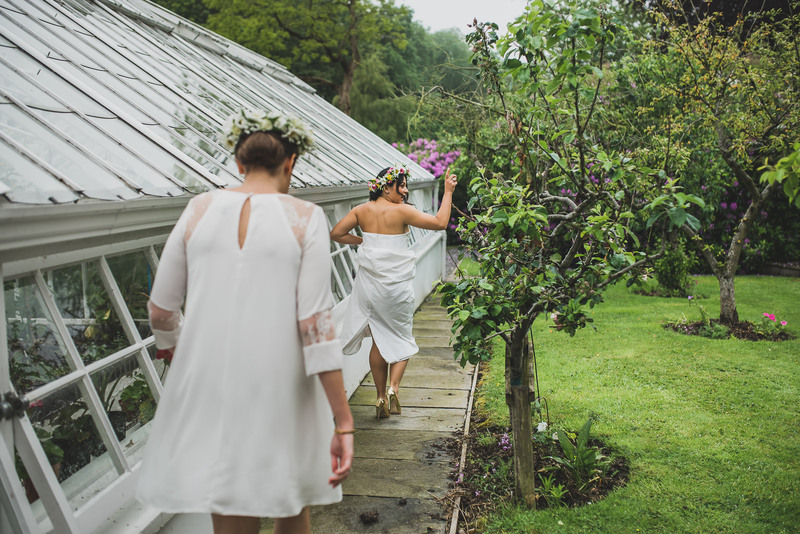 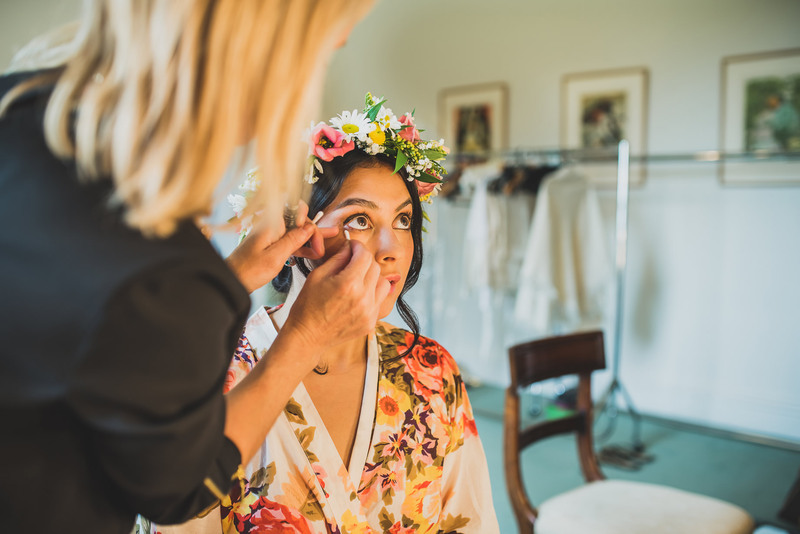 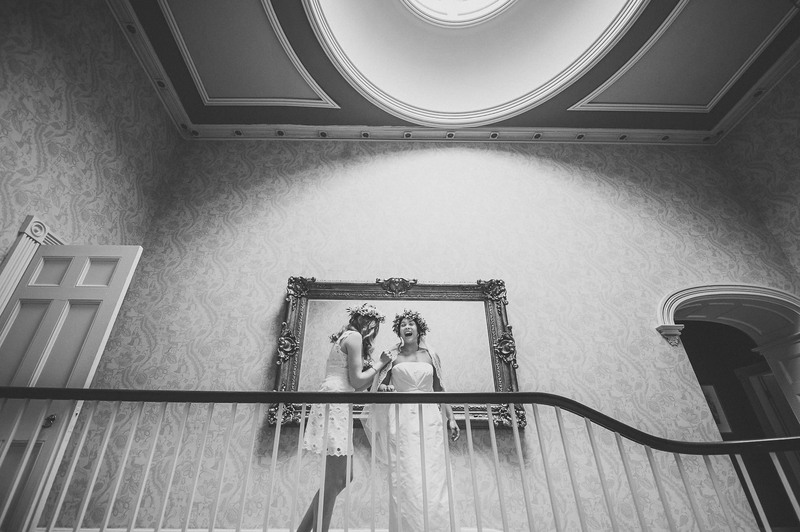 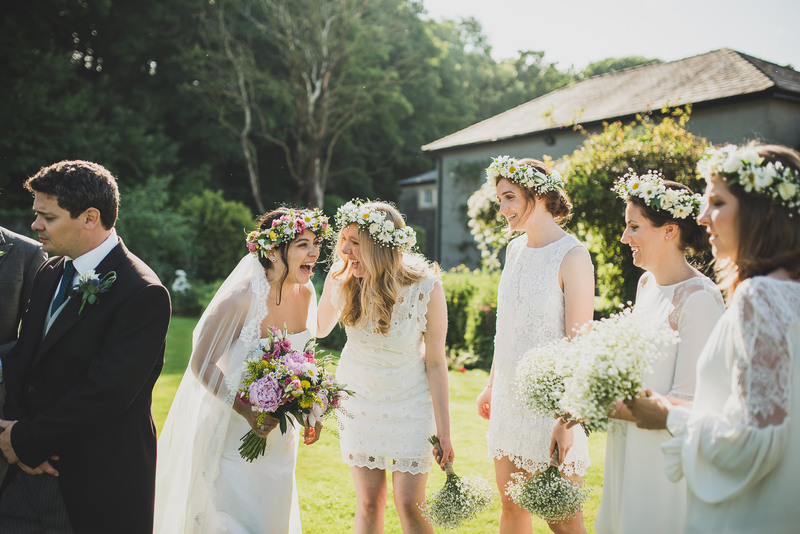 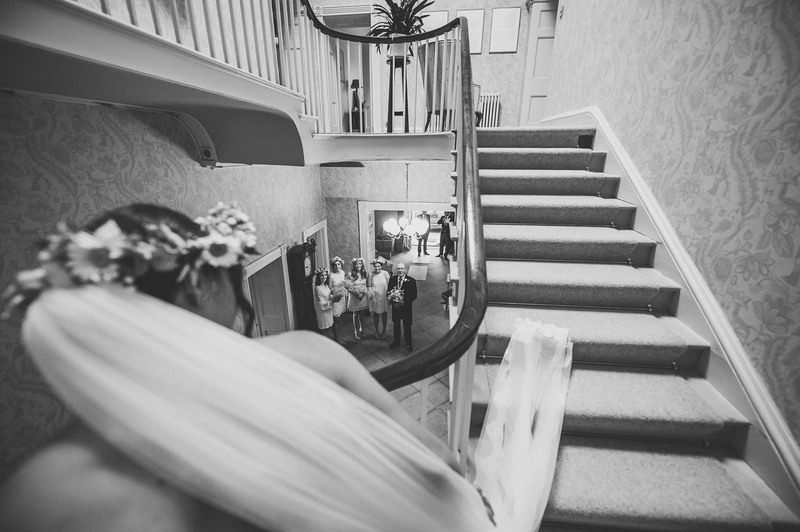 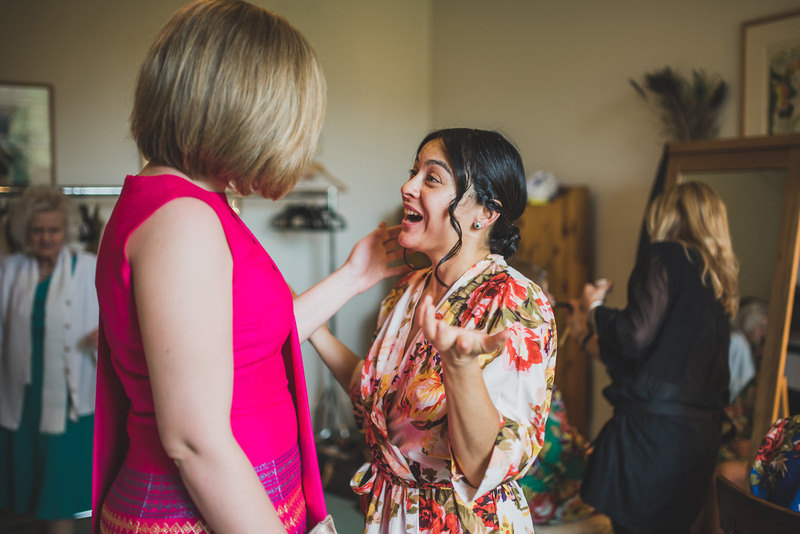 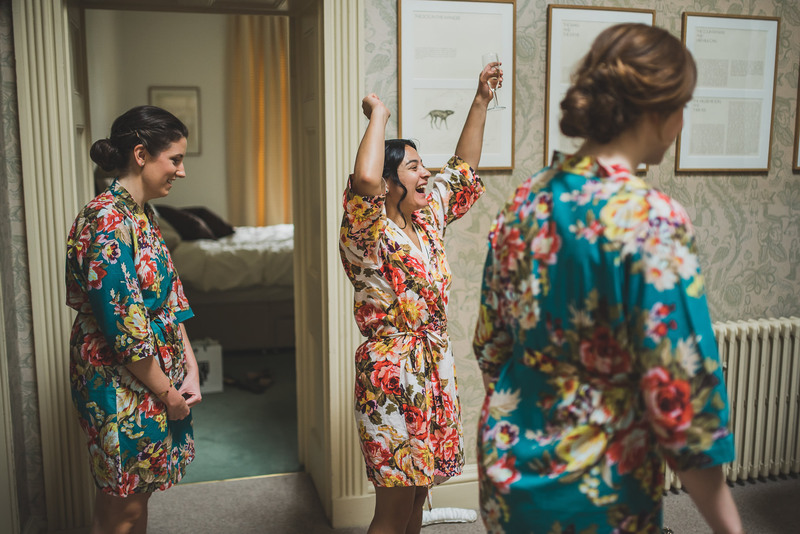 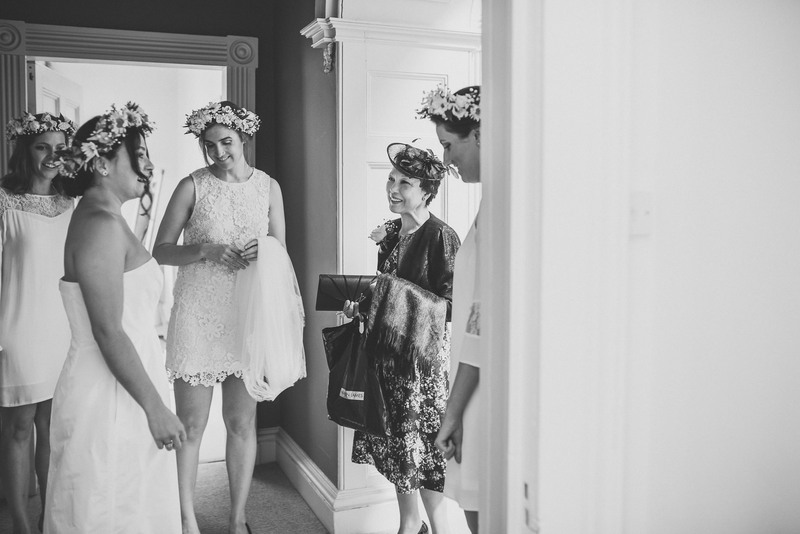 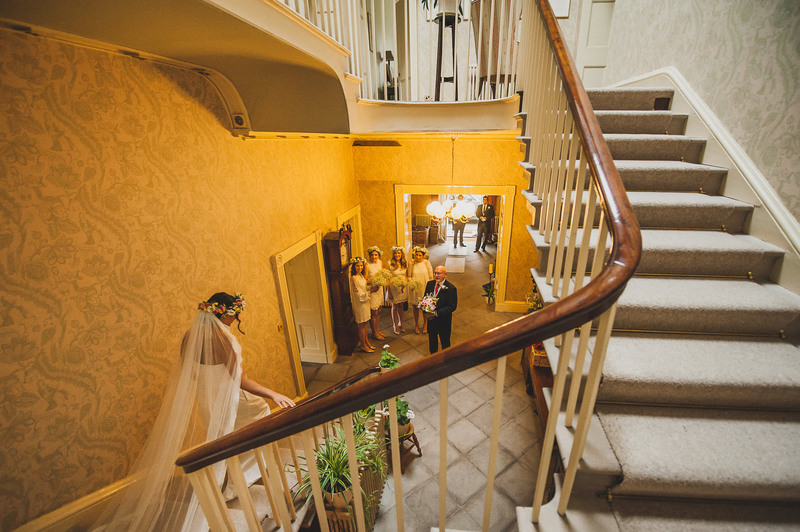 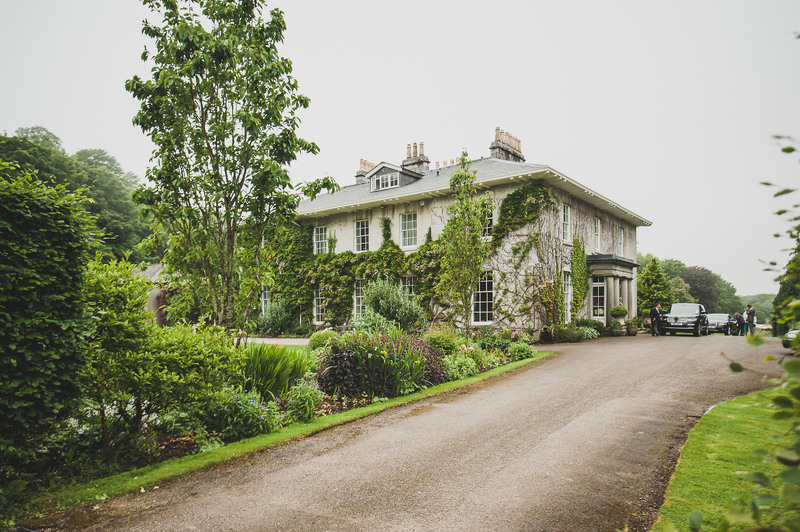 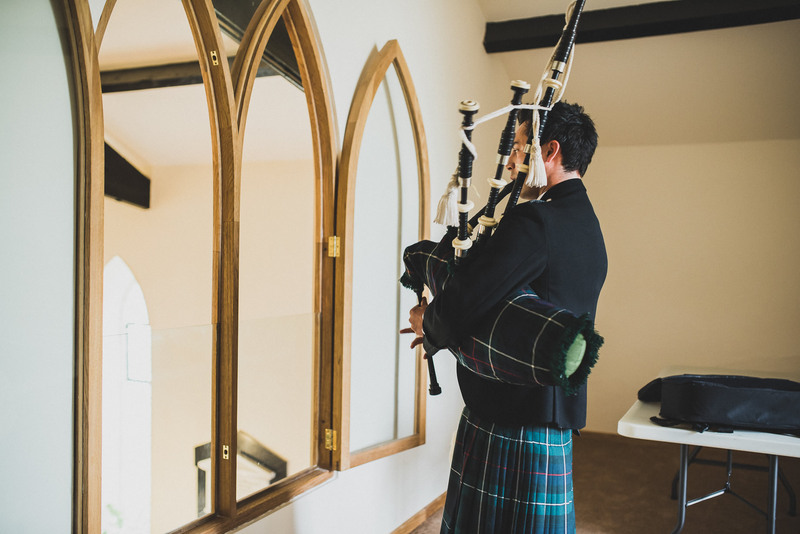 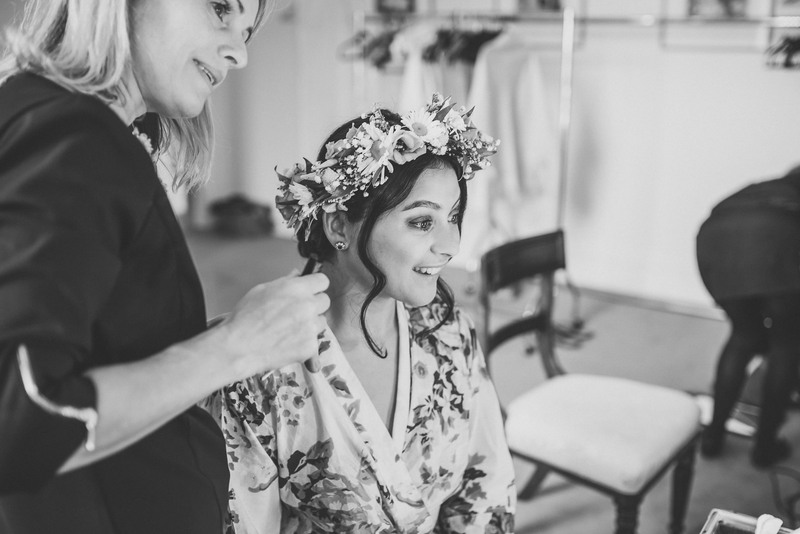 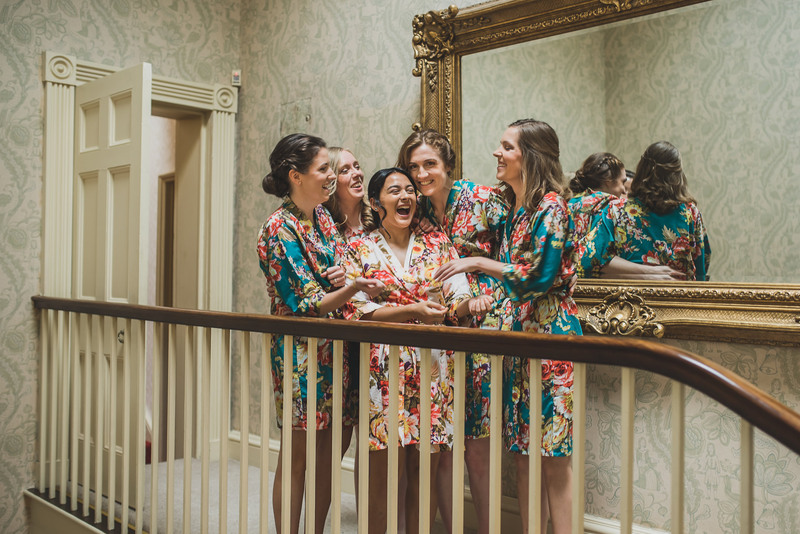 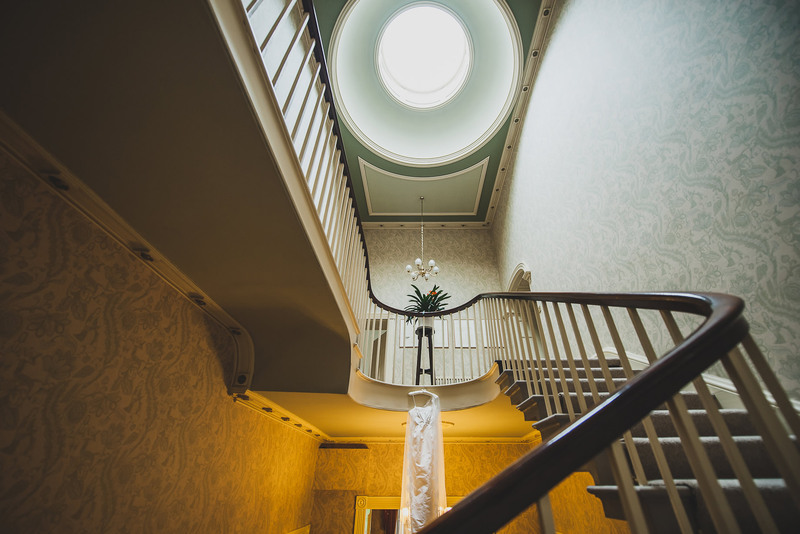 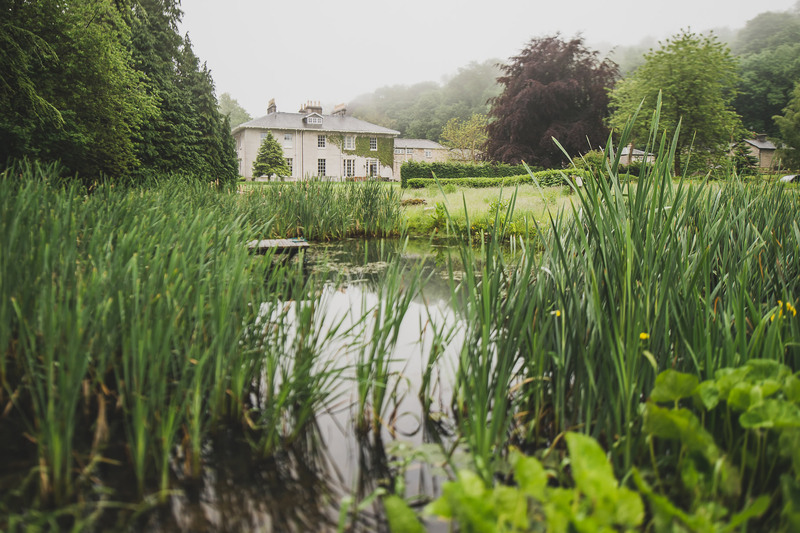 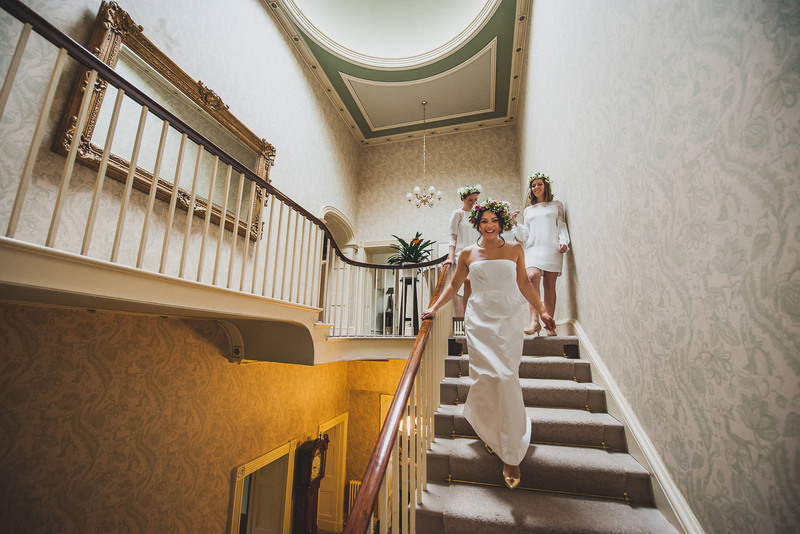 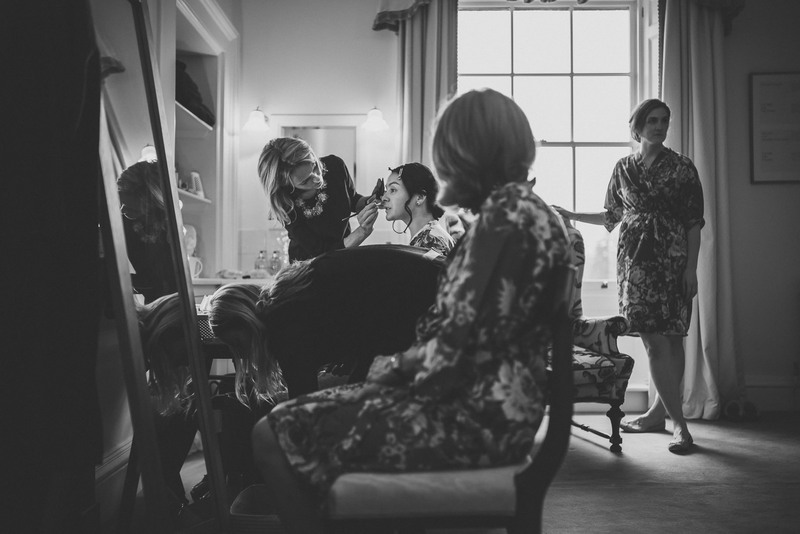 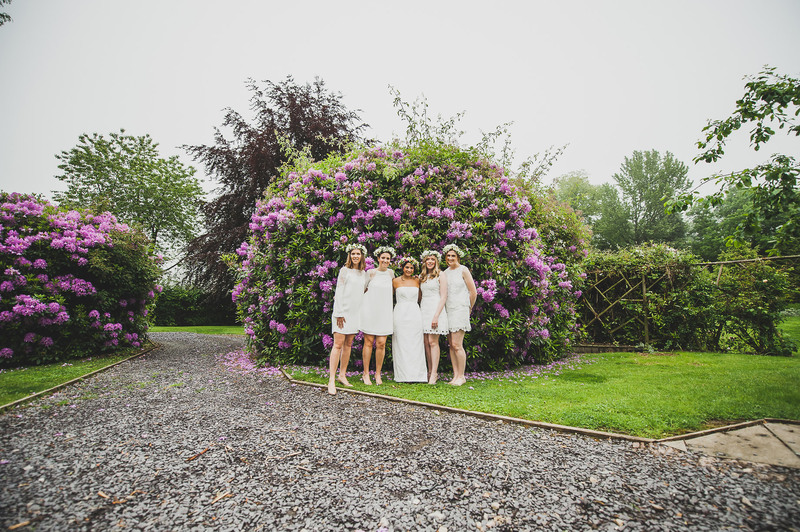 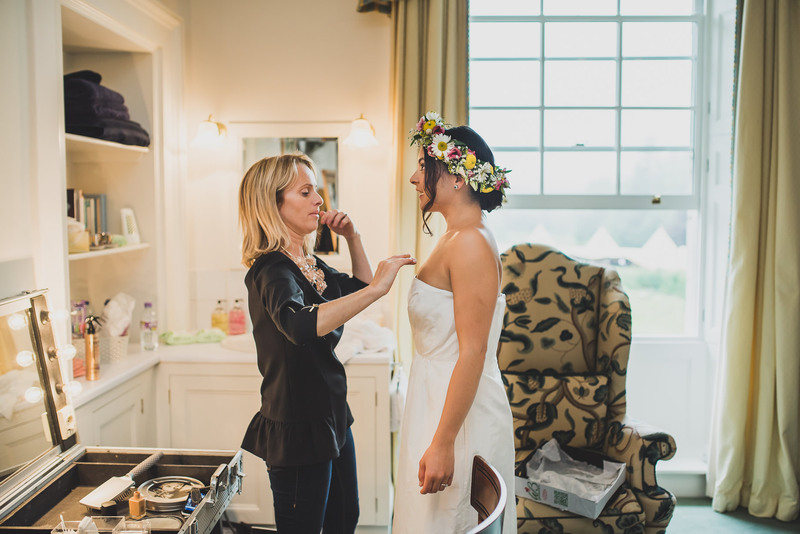 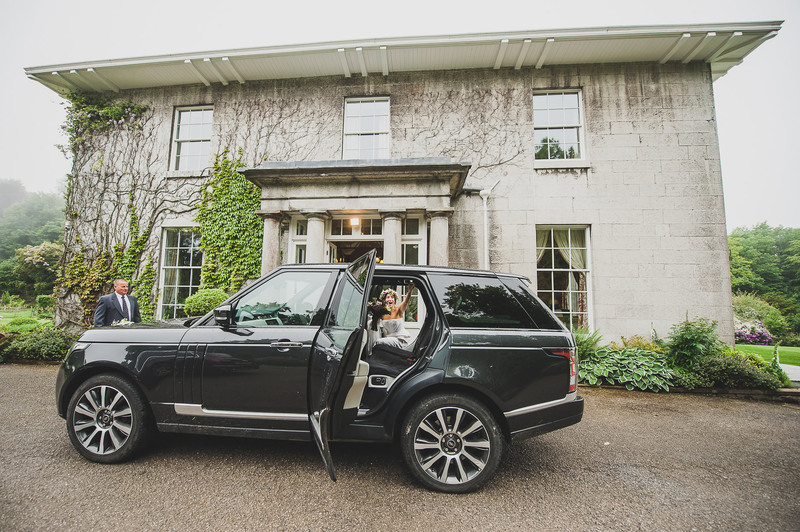 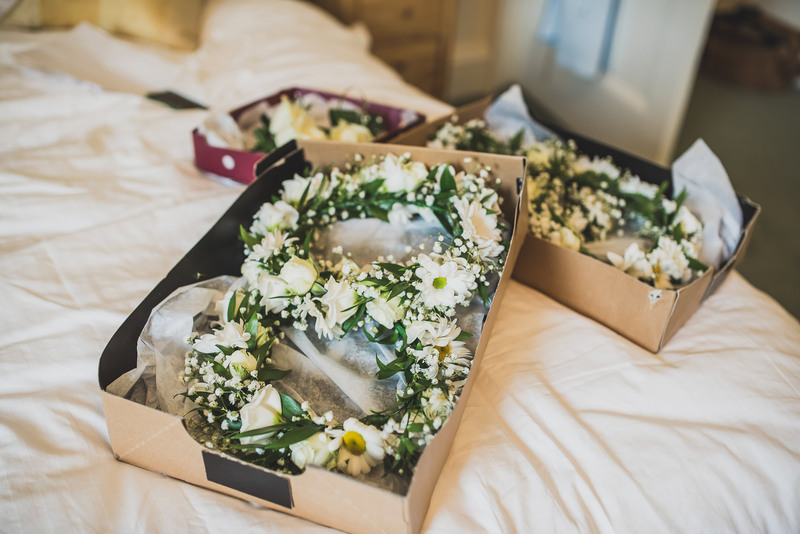 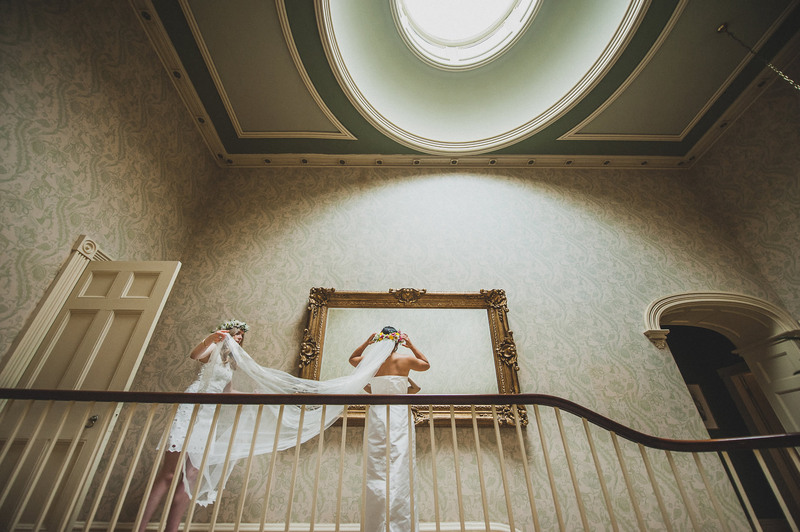 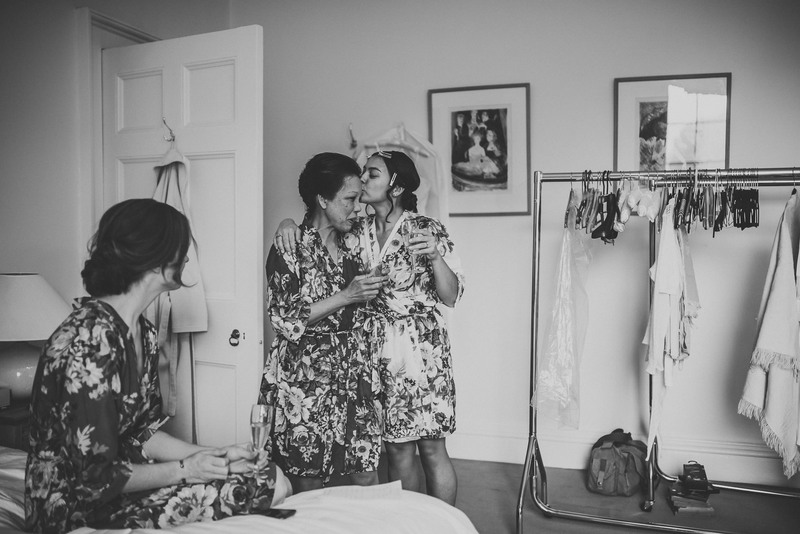 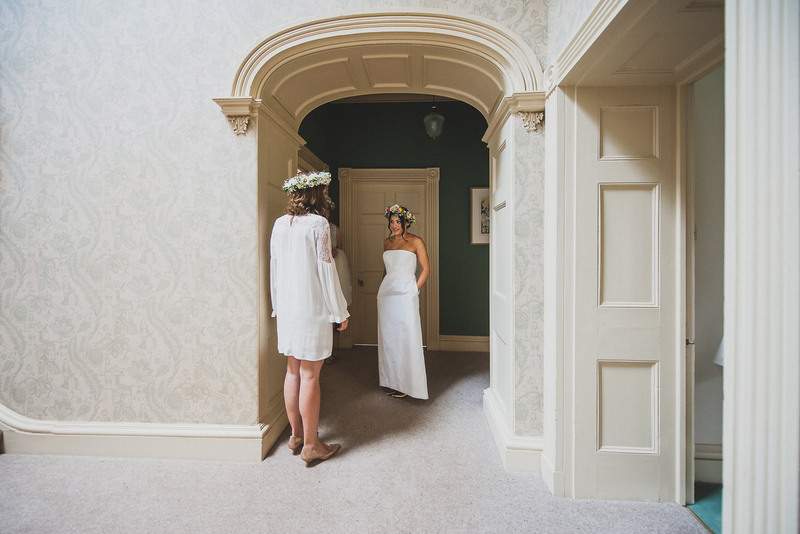 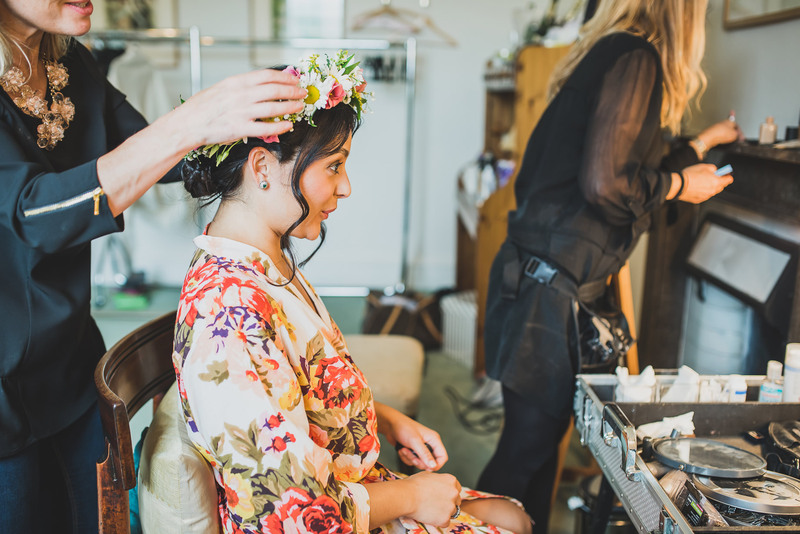 From the start of the day we were welcomed into Yealand Manor, Simon’s family home where Julia was getting ready with her bridal party. 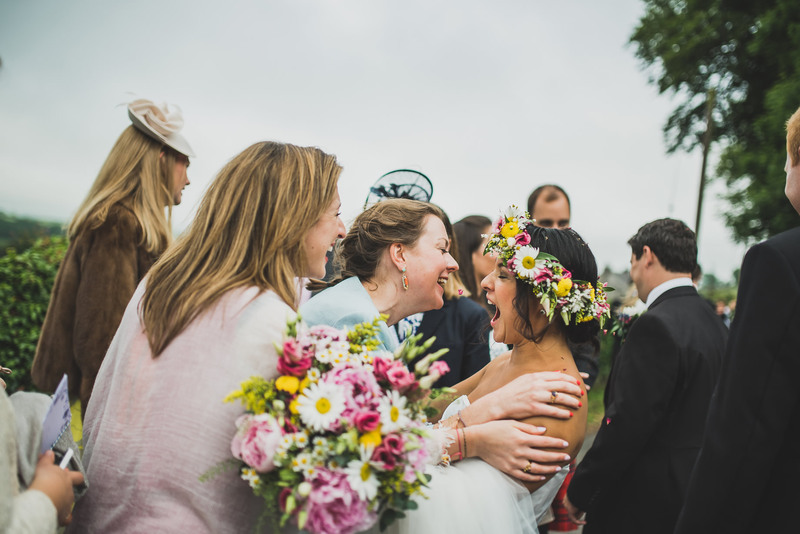 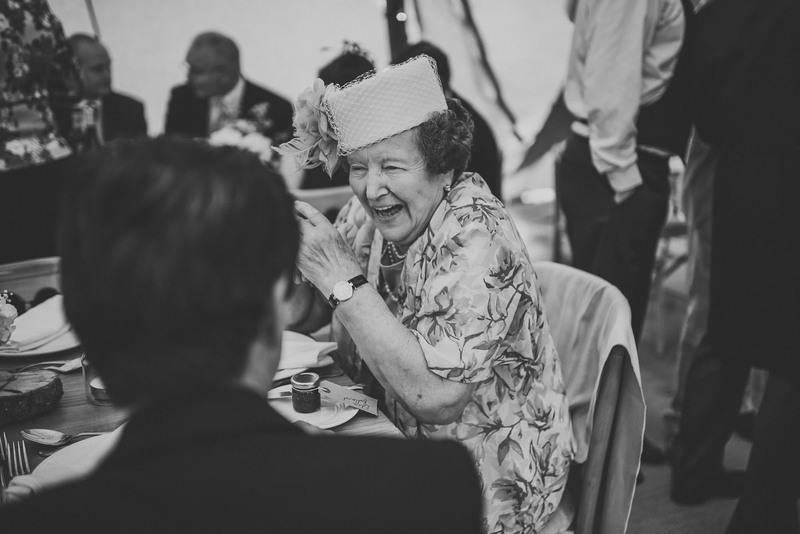 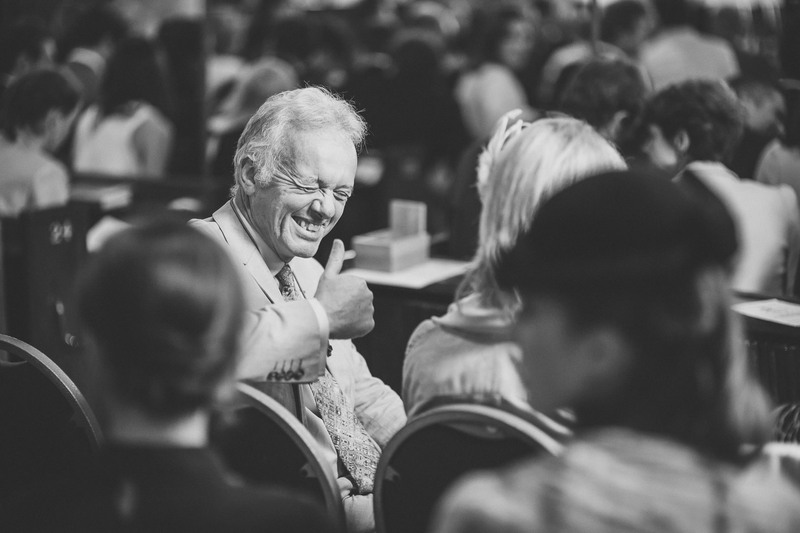 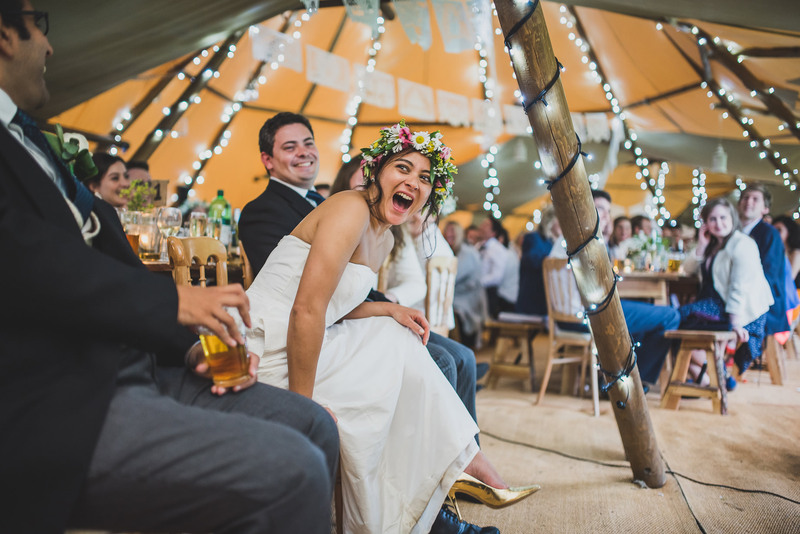 Not a moment went by without hearing Julia’s giddy laughter and we knew the day was going to be a bundle of fun! 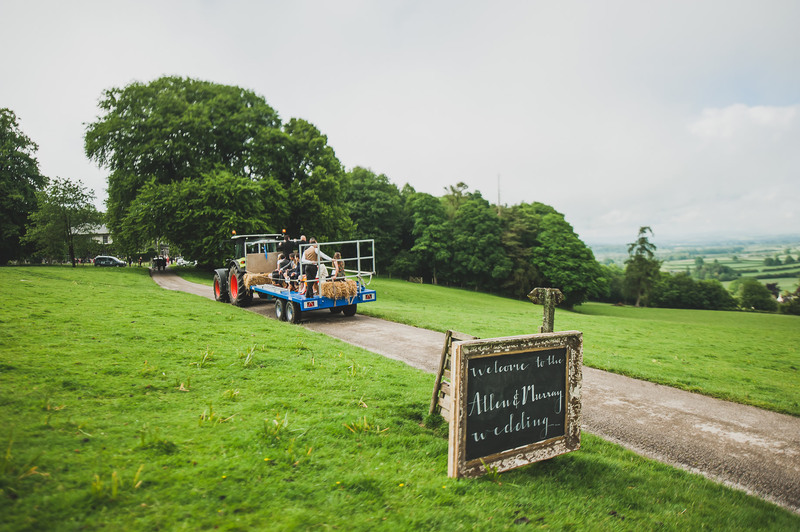 After the lovely ceremony some of the guests were transported to the manor house by tractor and trailer whilst others strolled behind. 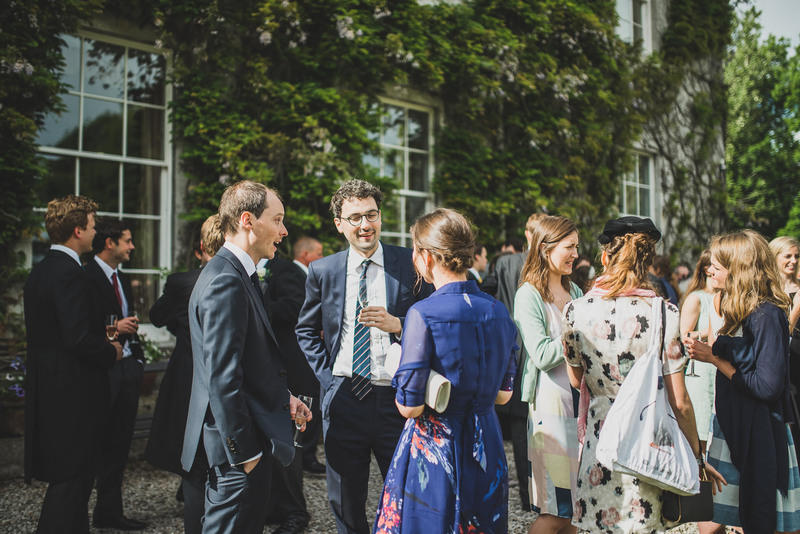 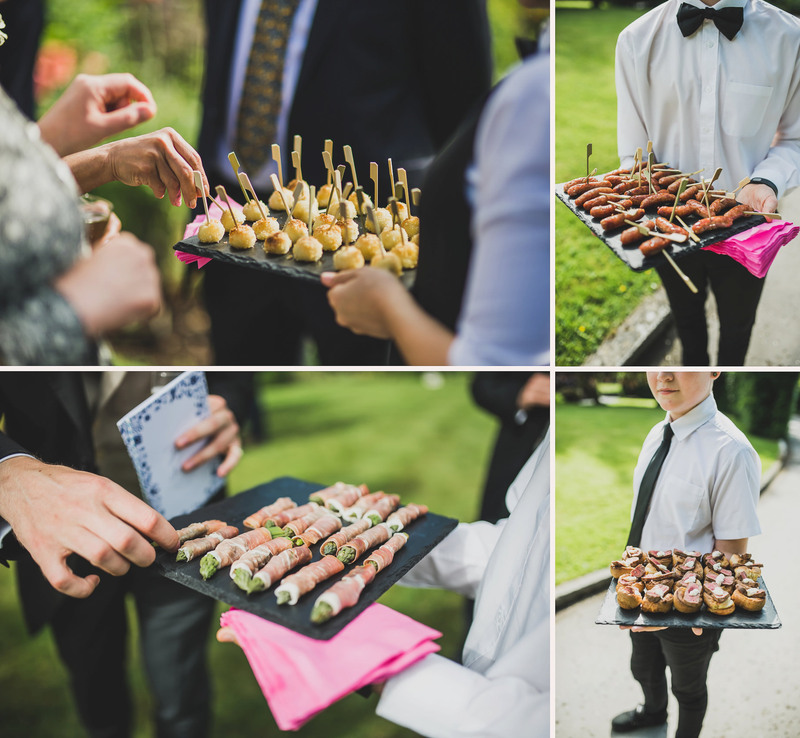 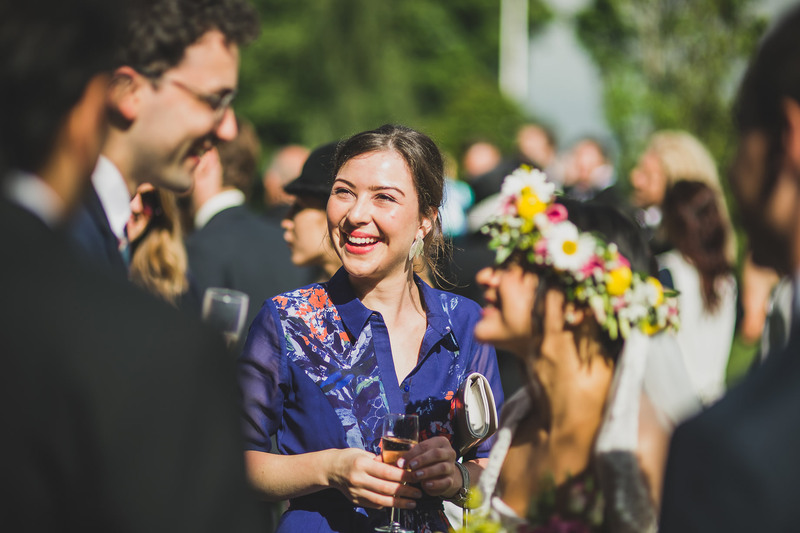 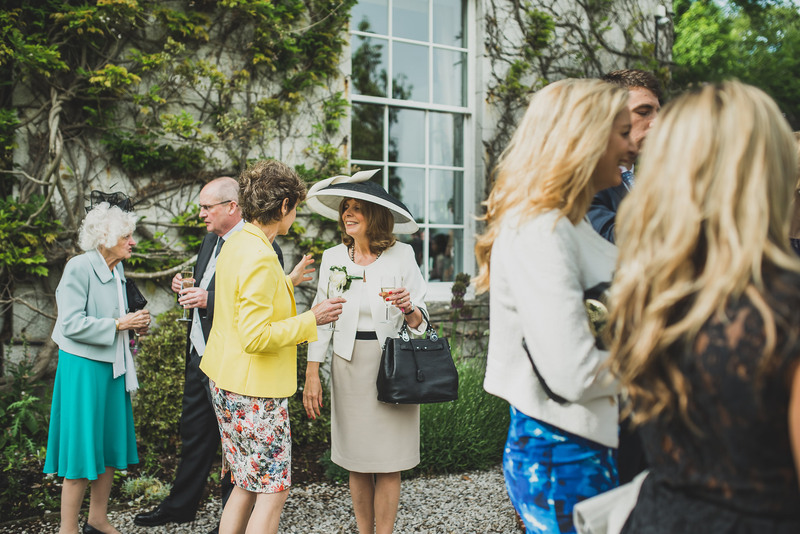 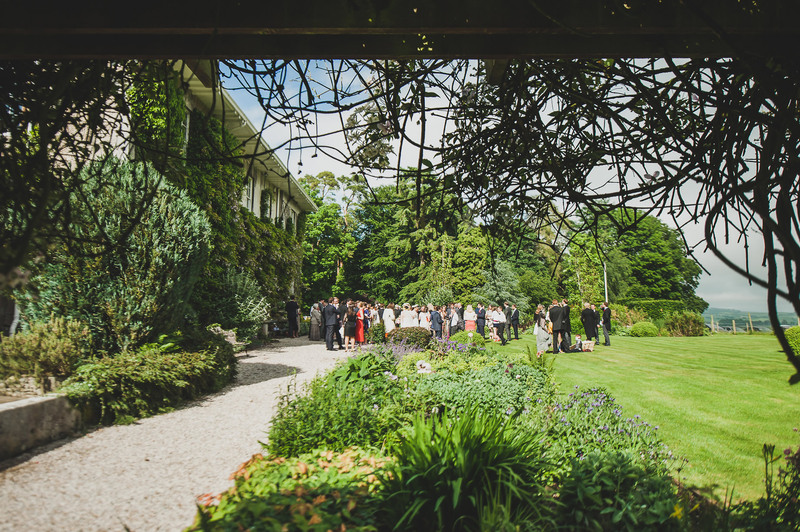 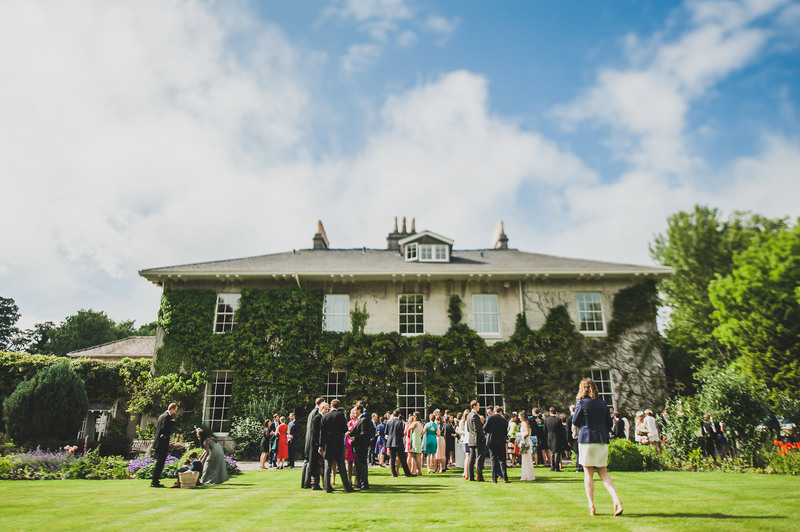 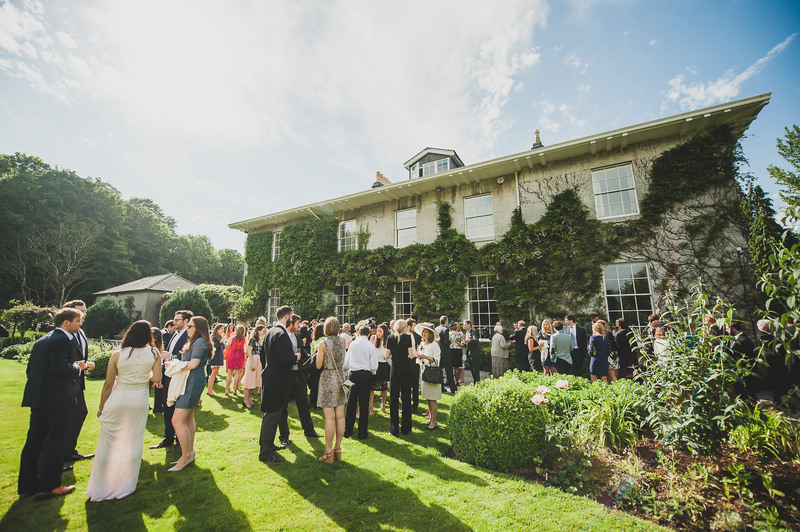 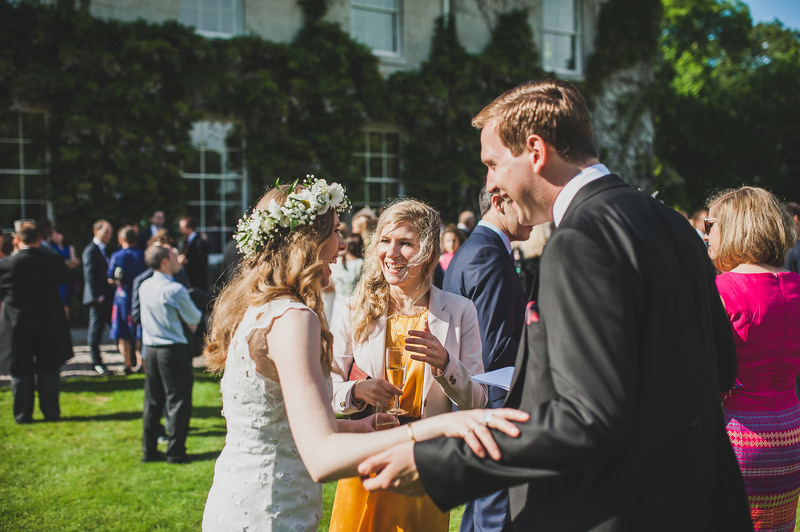 Drinks and canapés were served on the lawn where people mingled and chatted the afternoon away, the summer sun decorating the garden in gorgeous light. 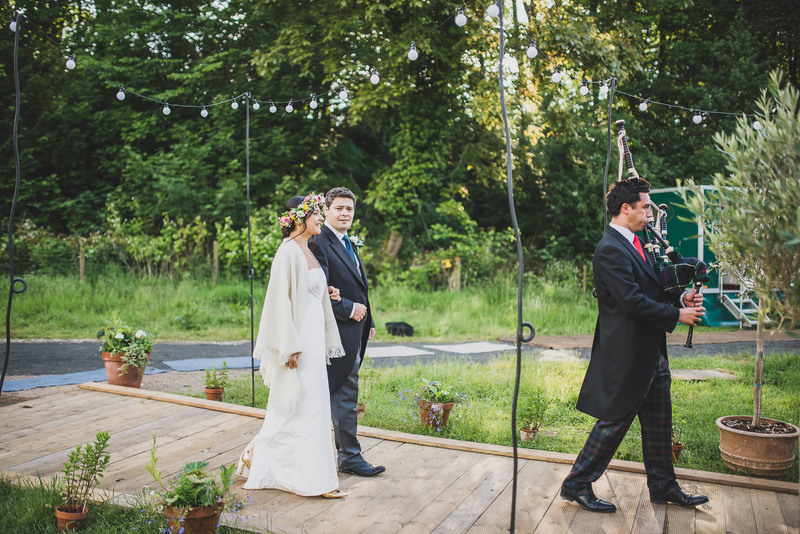 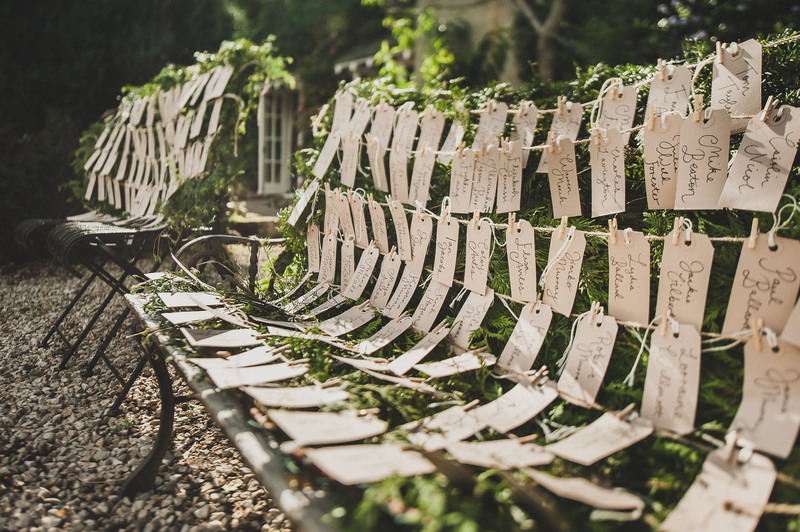 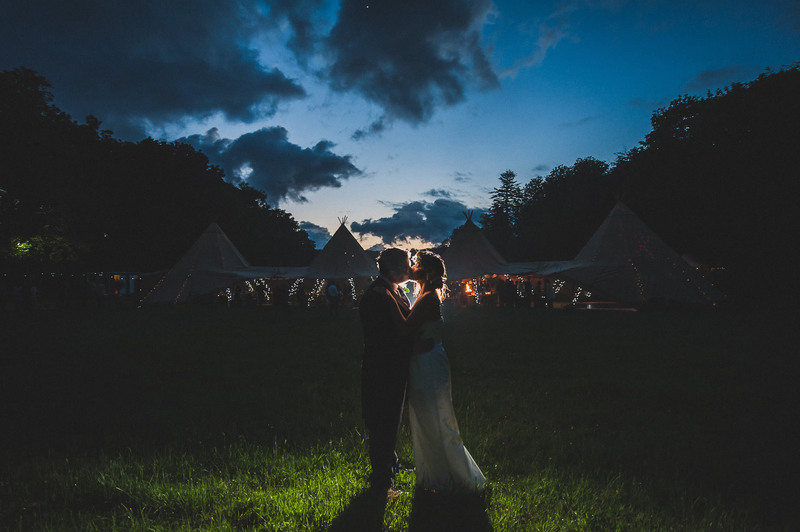 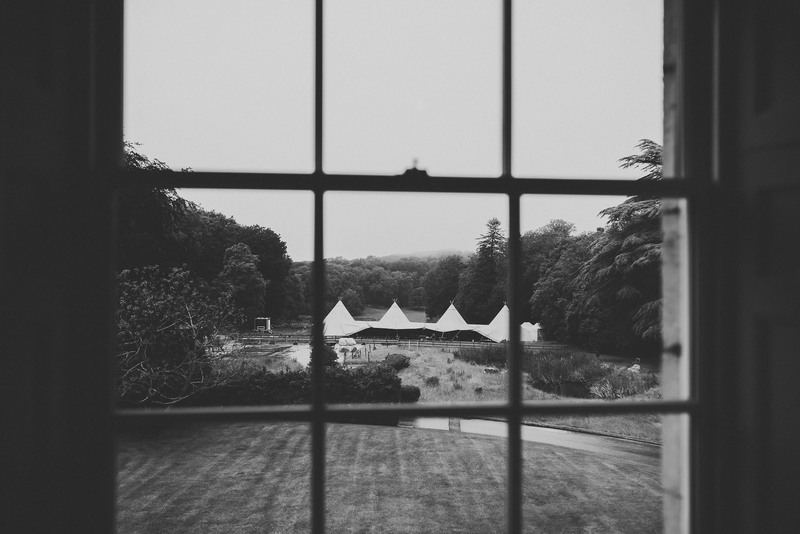 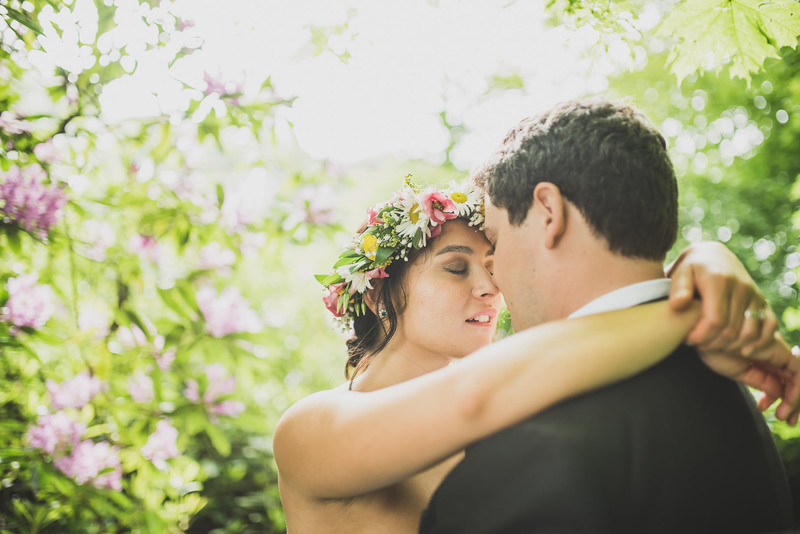 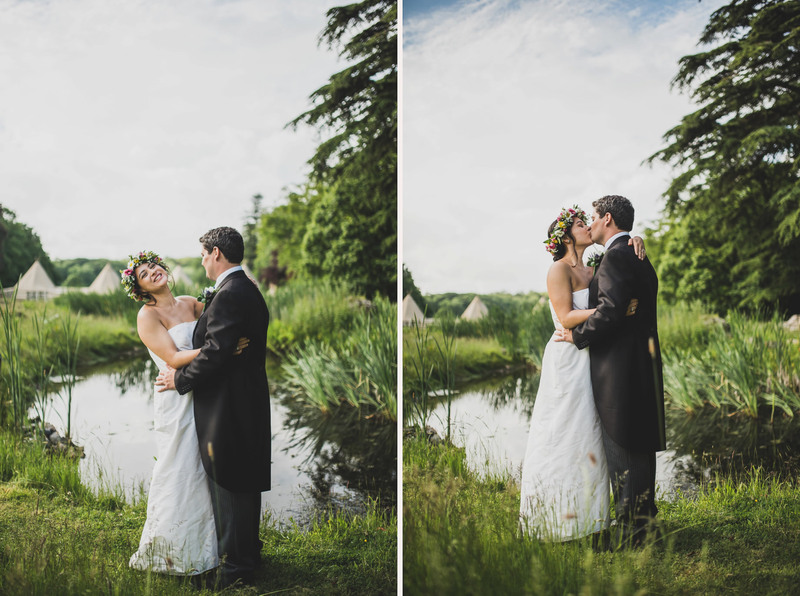 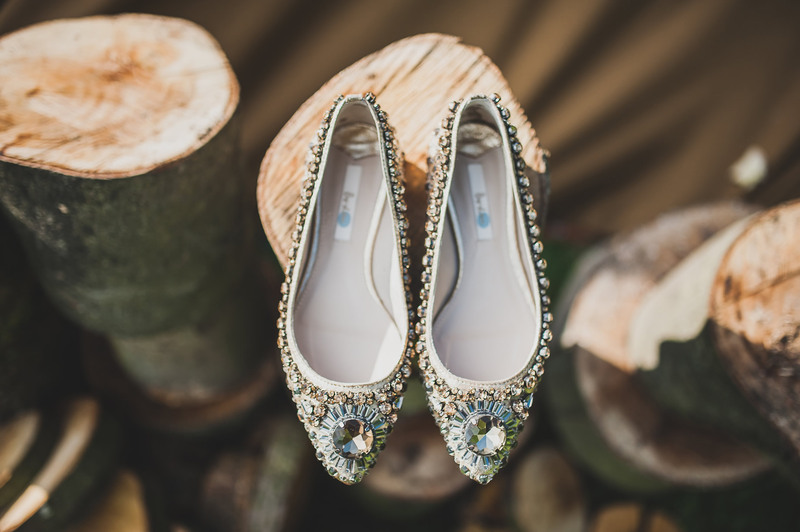 Simon and his family really worked hard to set the scene for the wedding and the grounds looked absolutely stunning with a multitude of fairy lights and rustic details everywhere you looked! 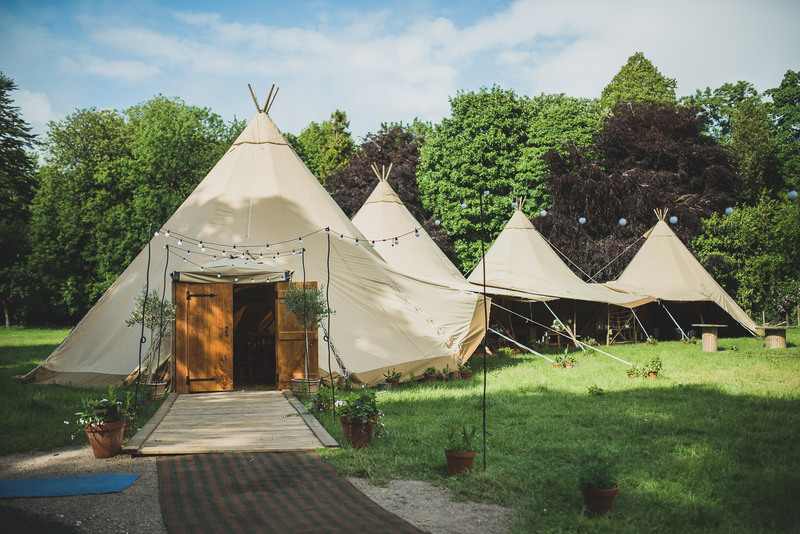 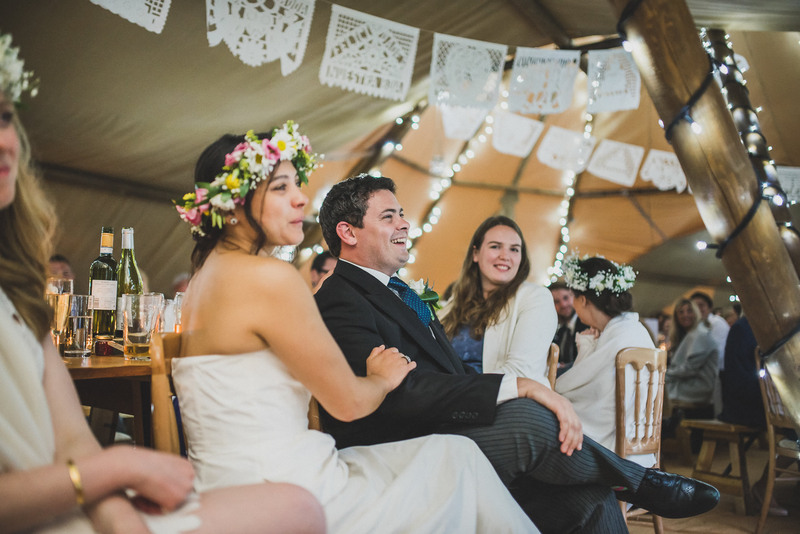 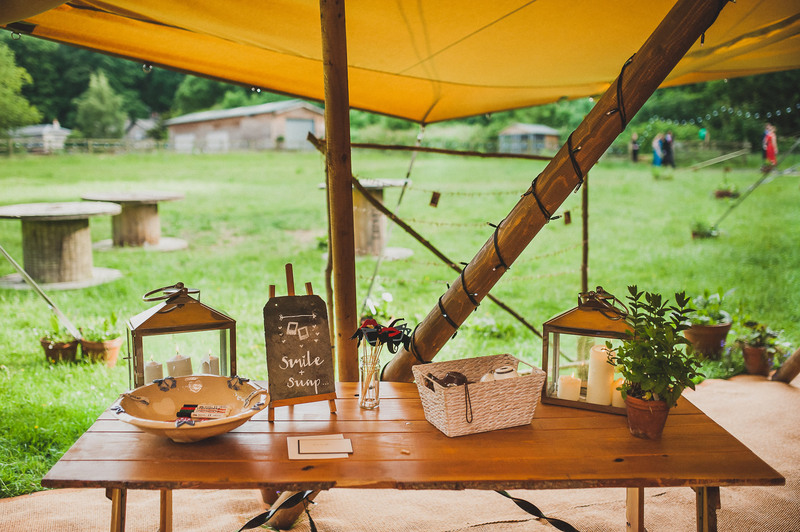 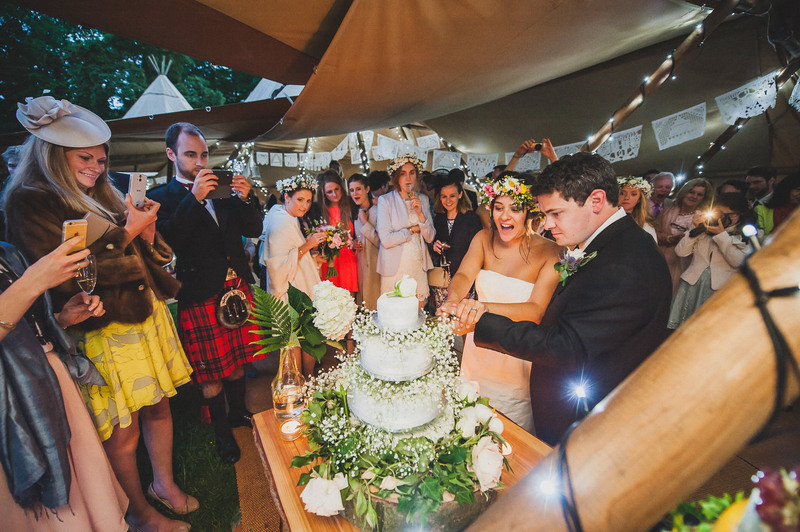 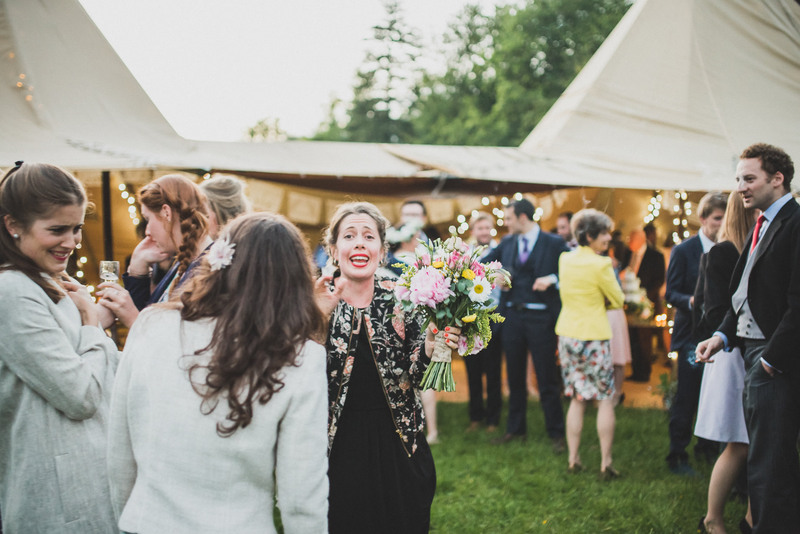 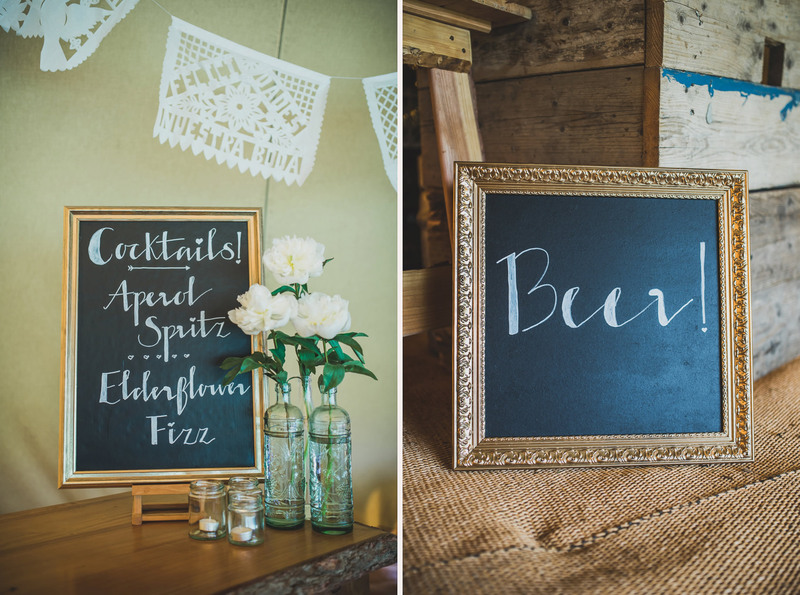 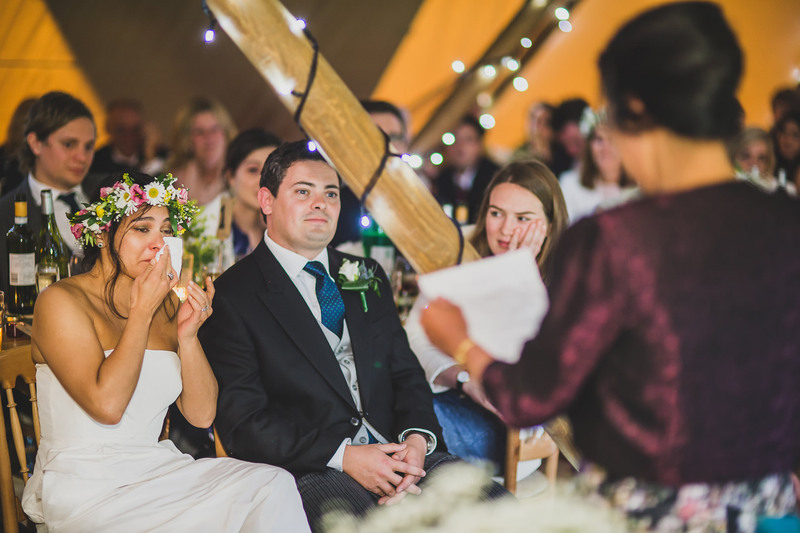 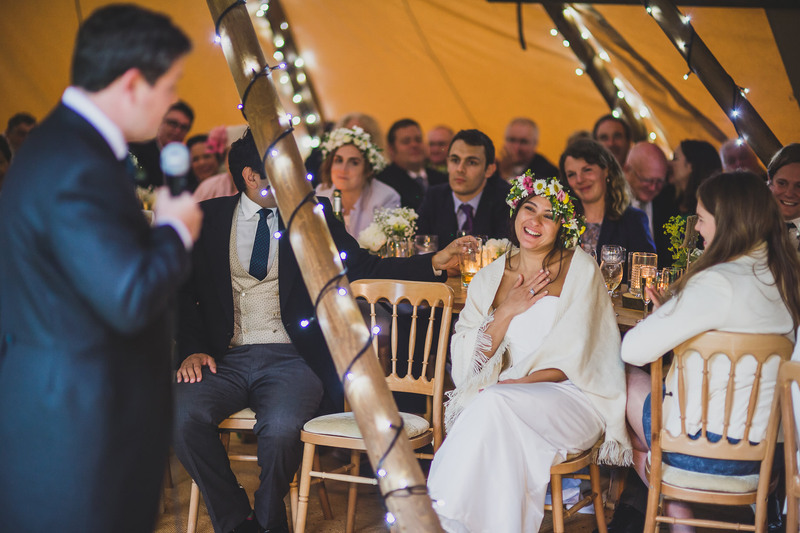 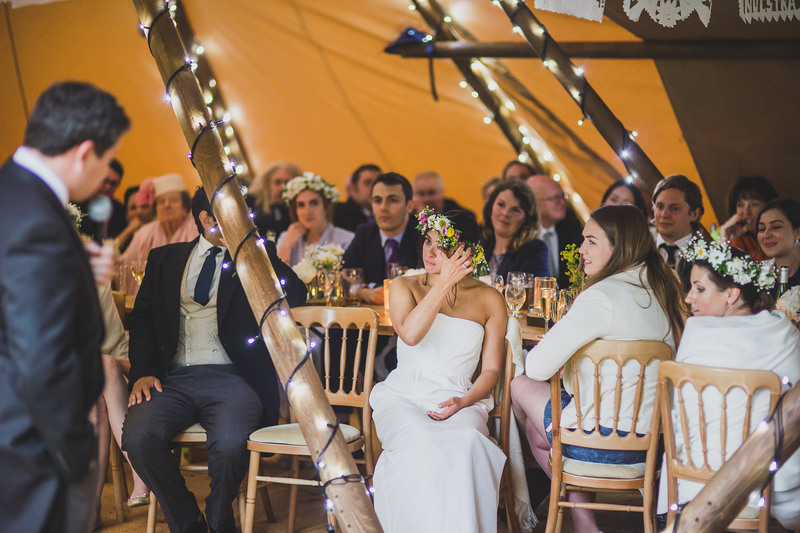 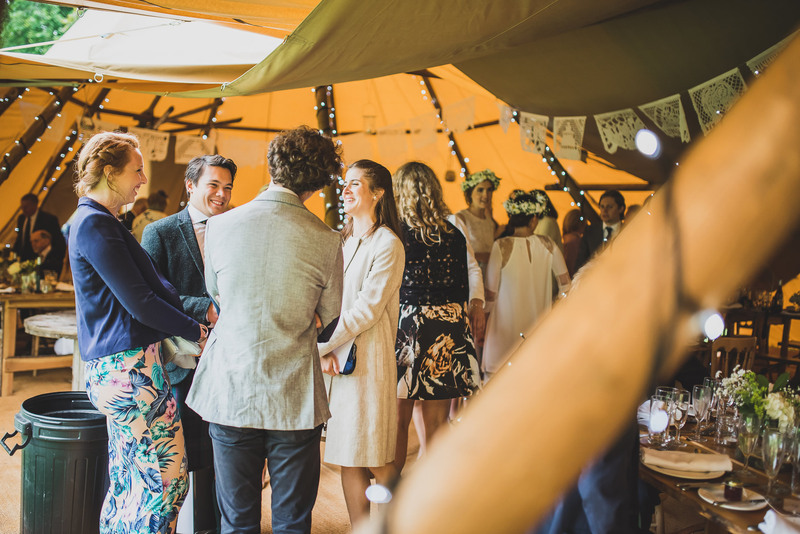 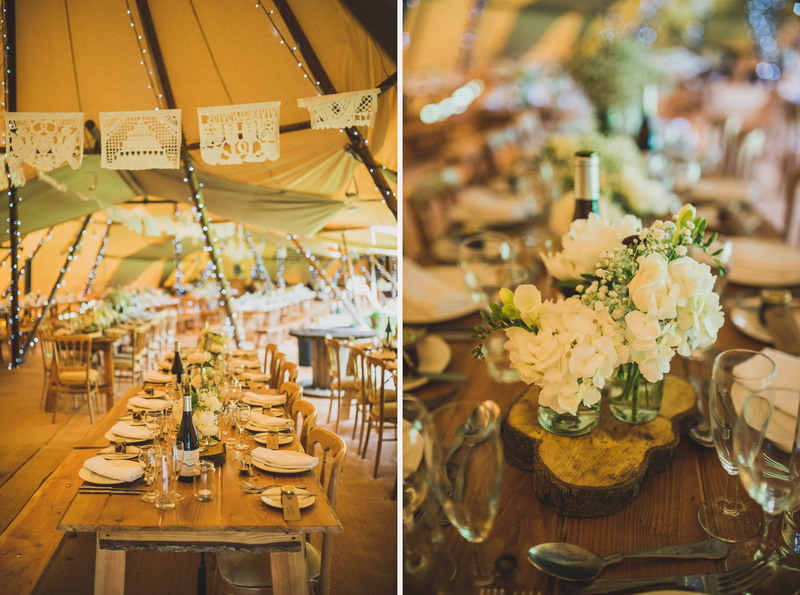 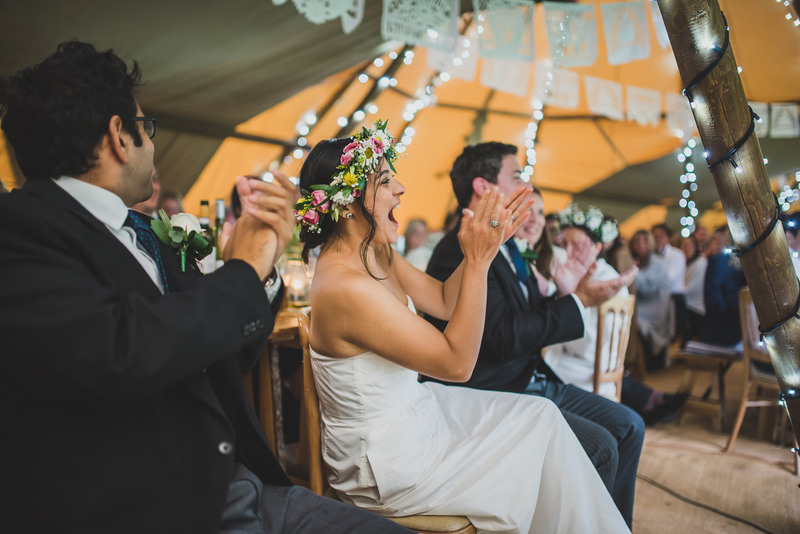 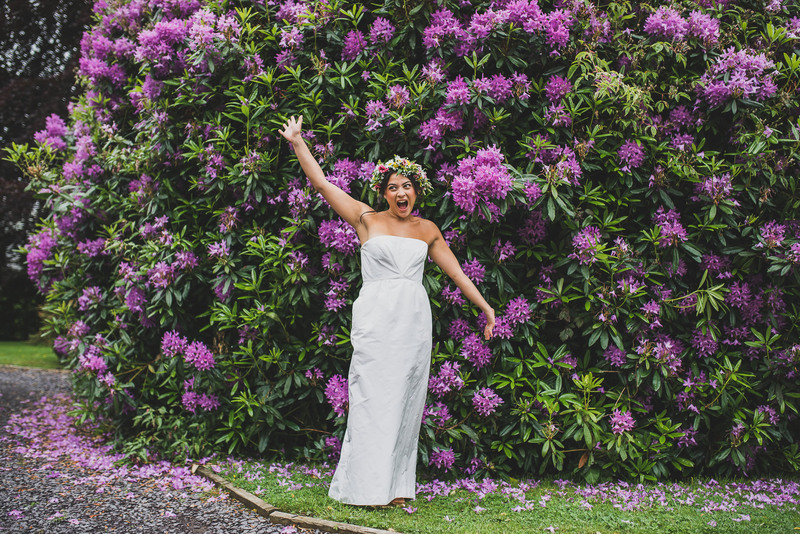 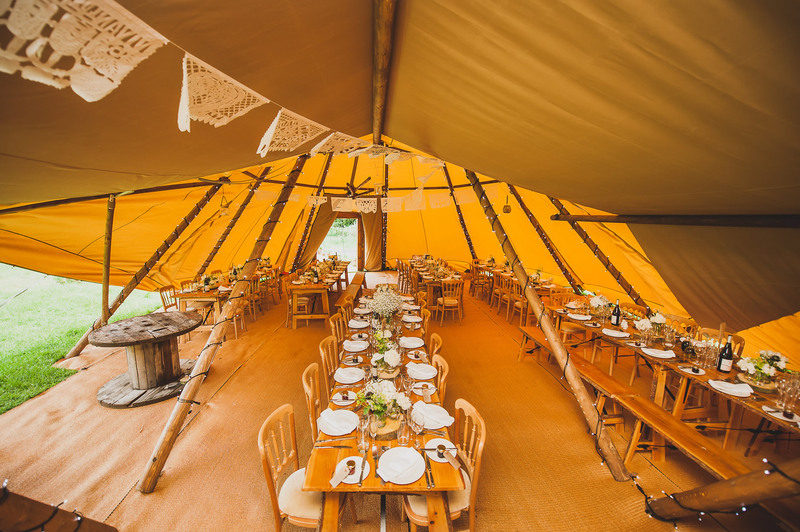 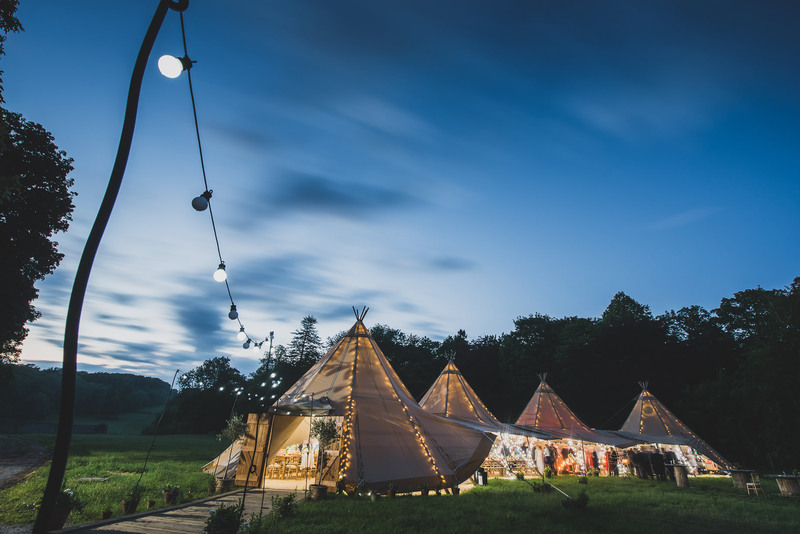 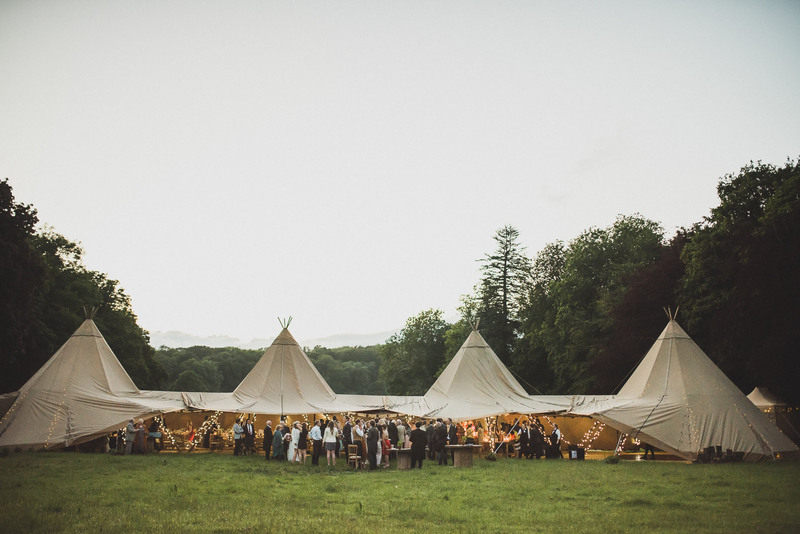 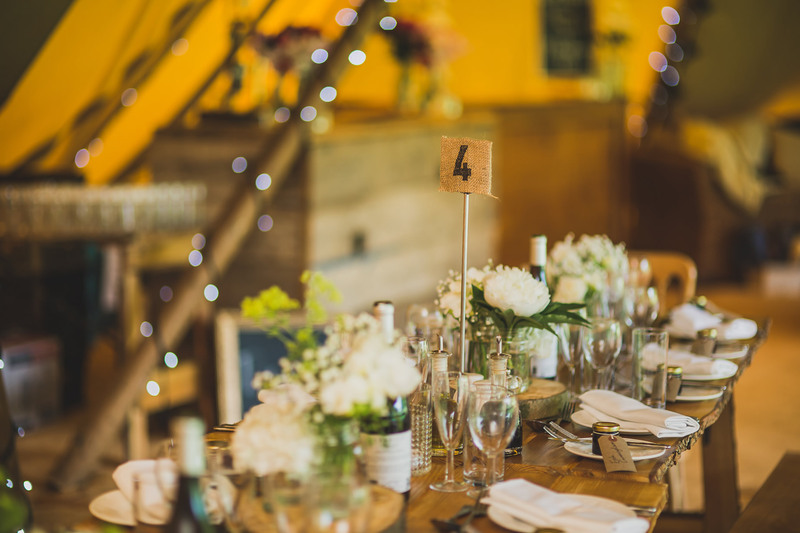 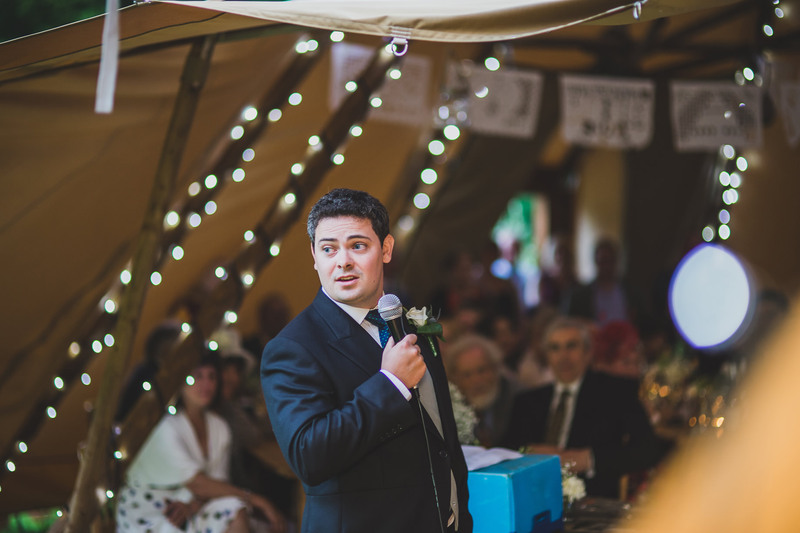 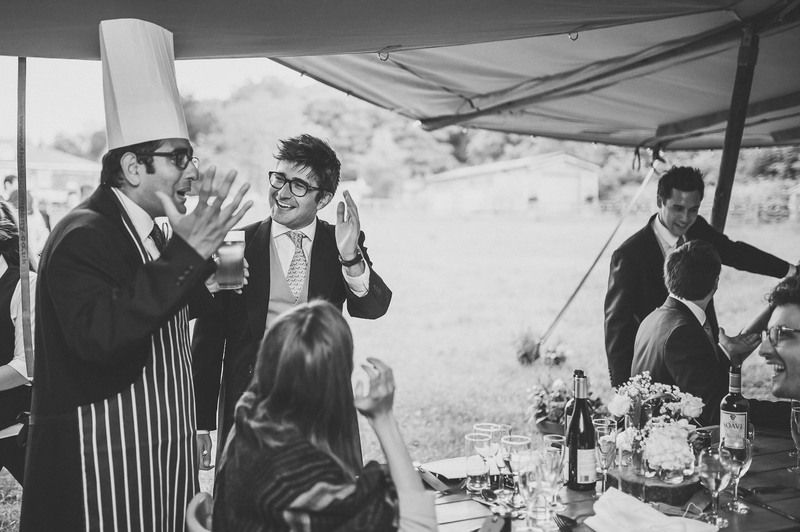 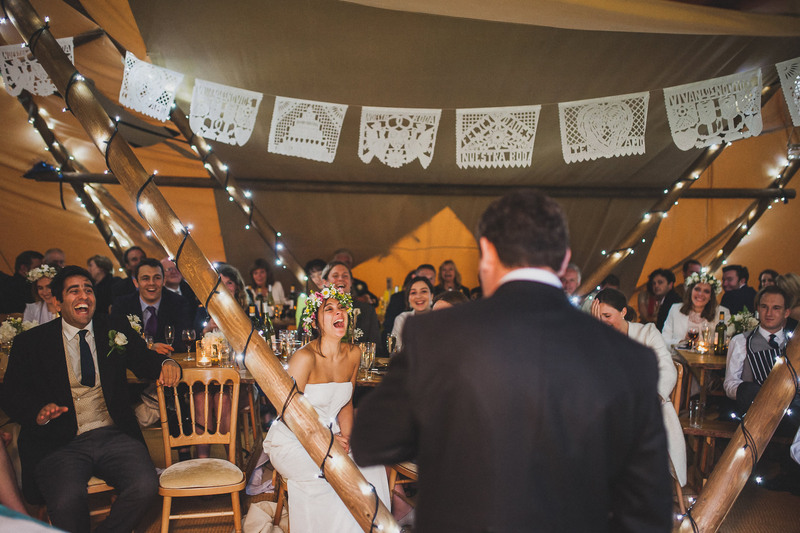 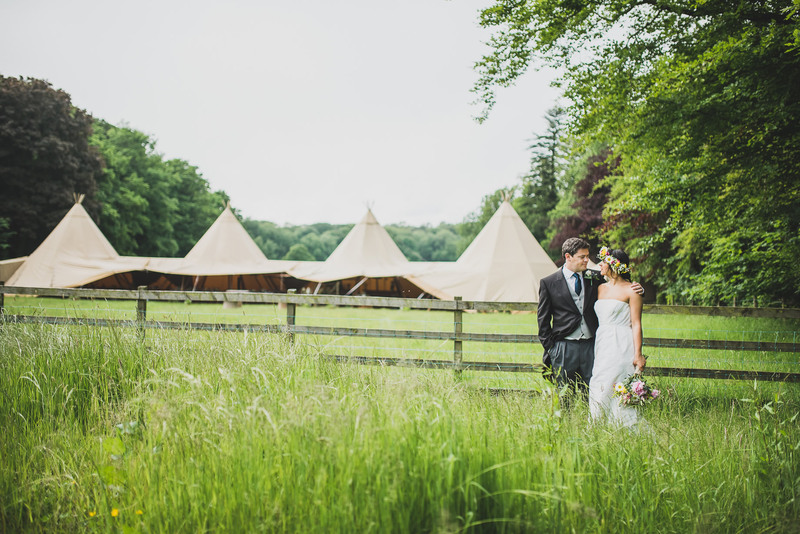 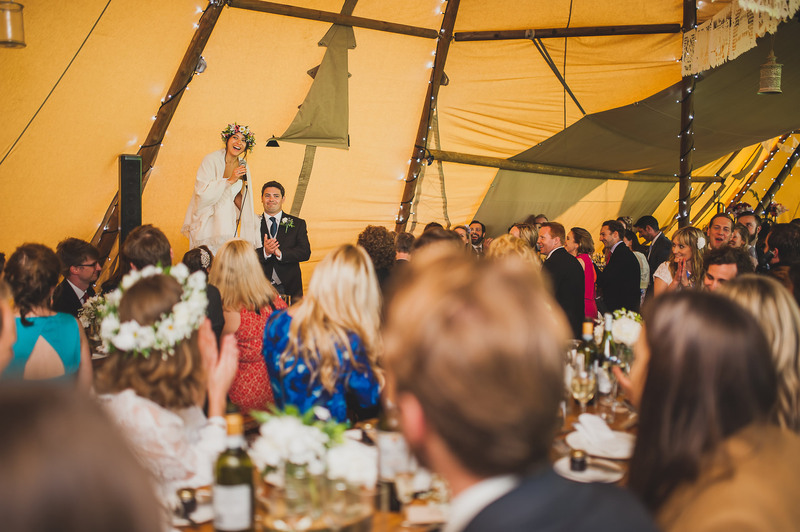 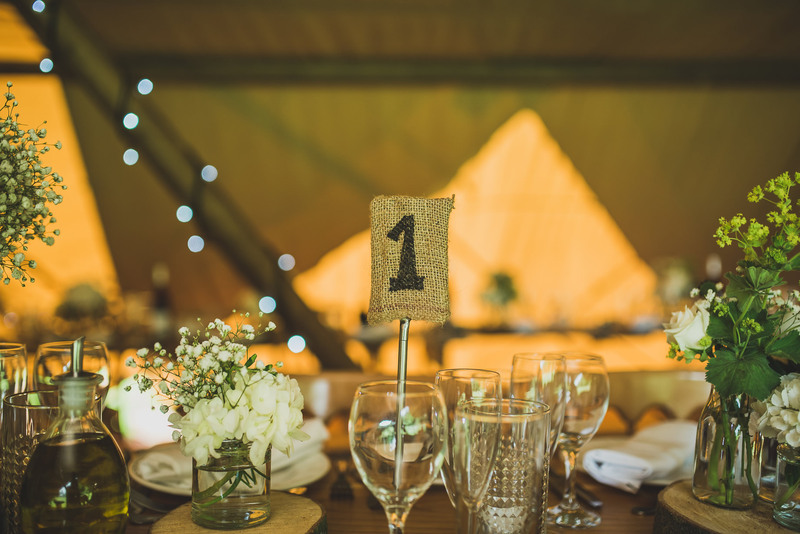 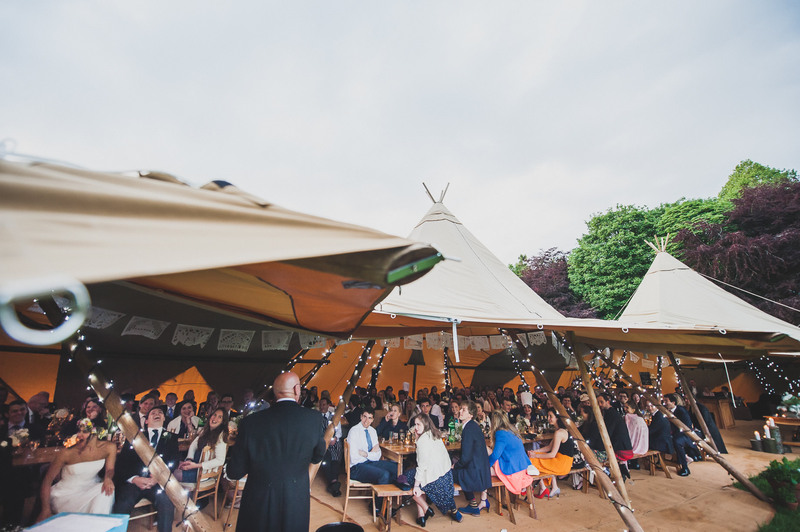 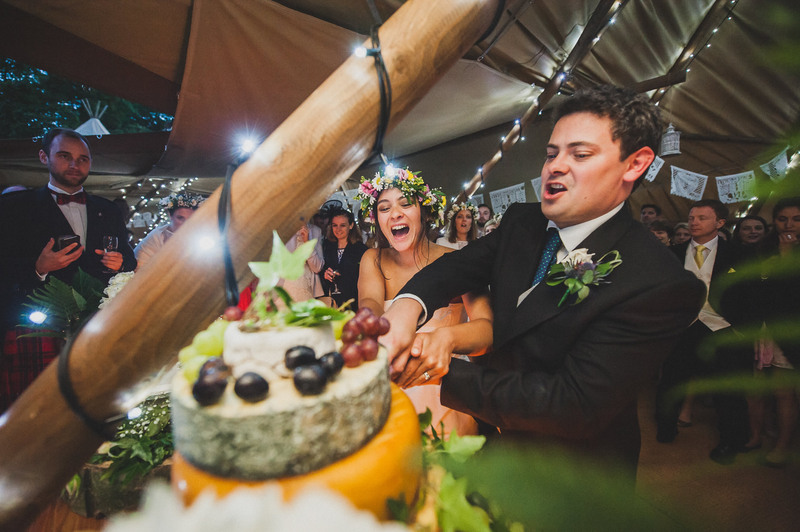 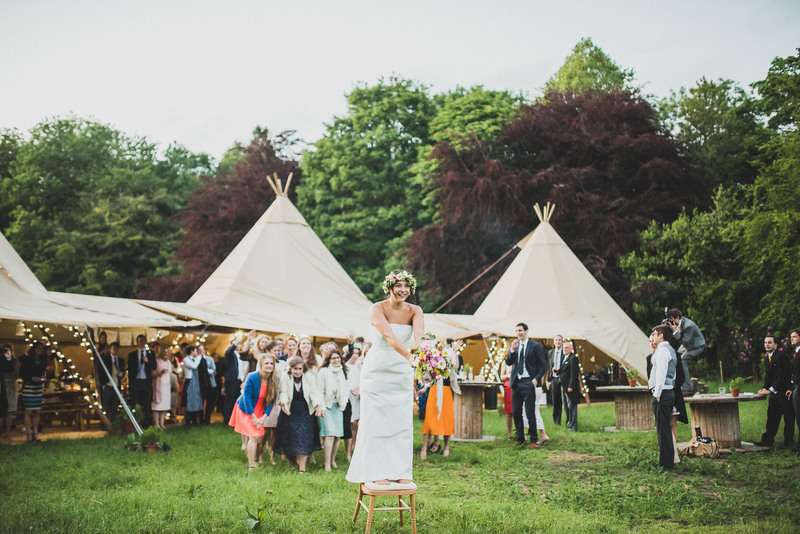 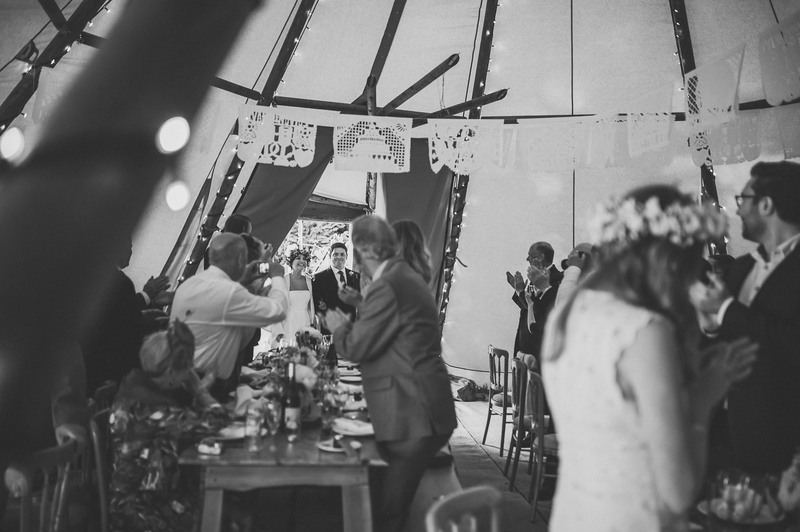 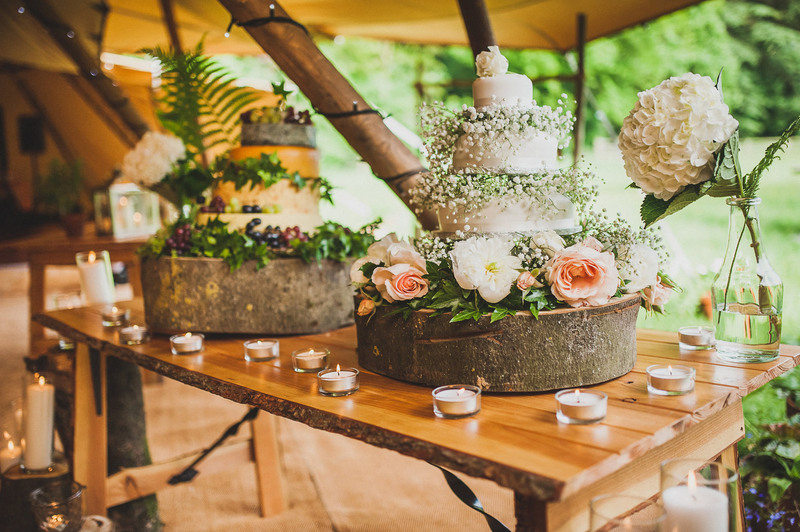 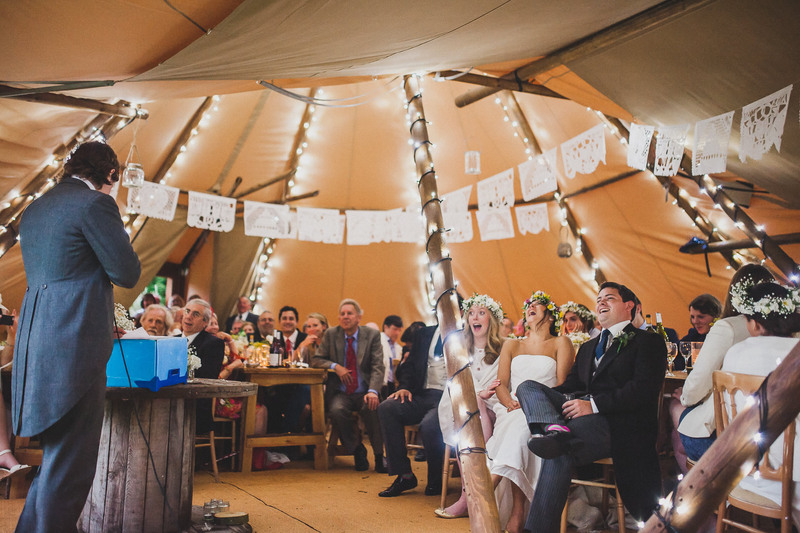 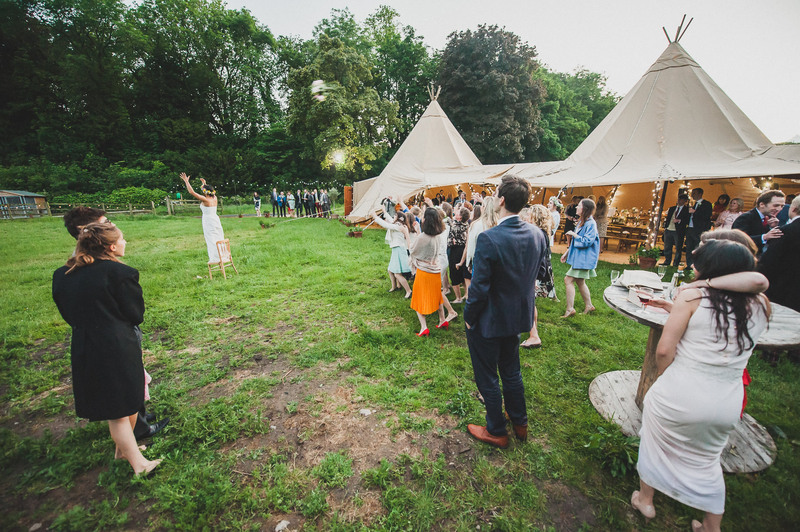 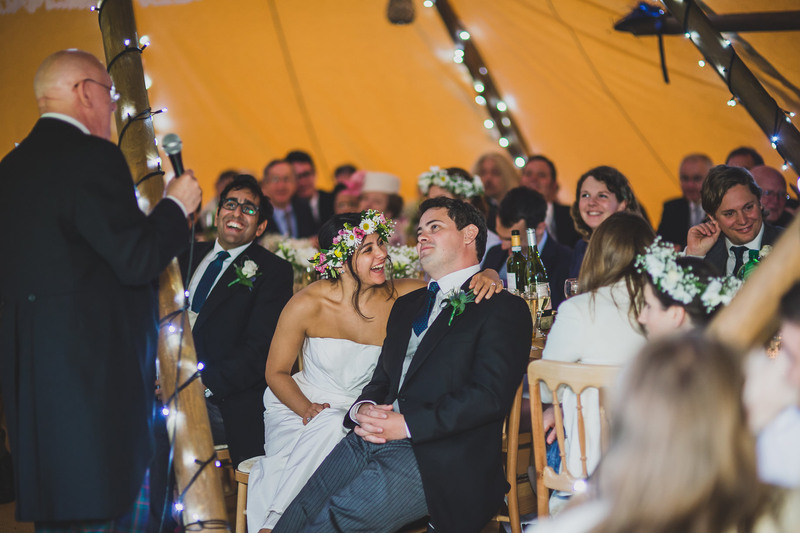 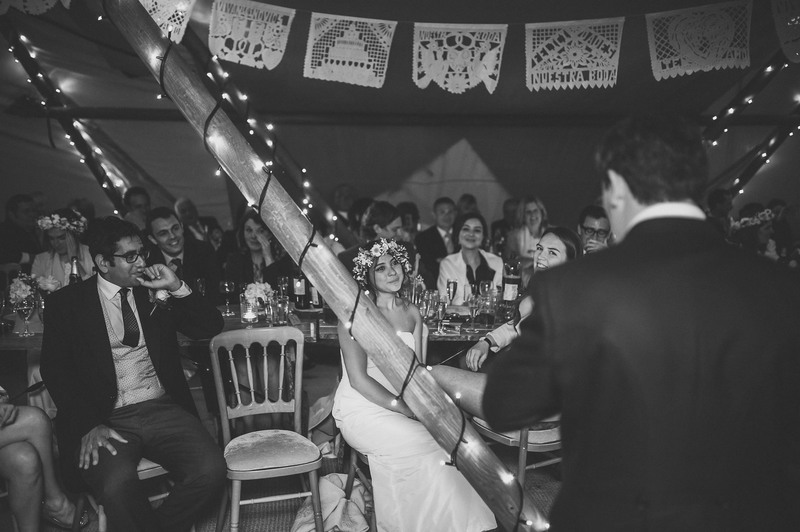 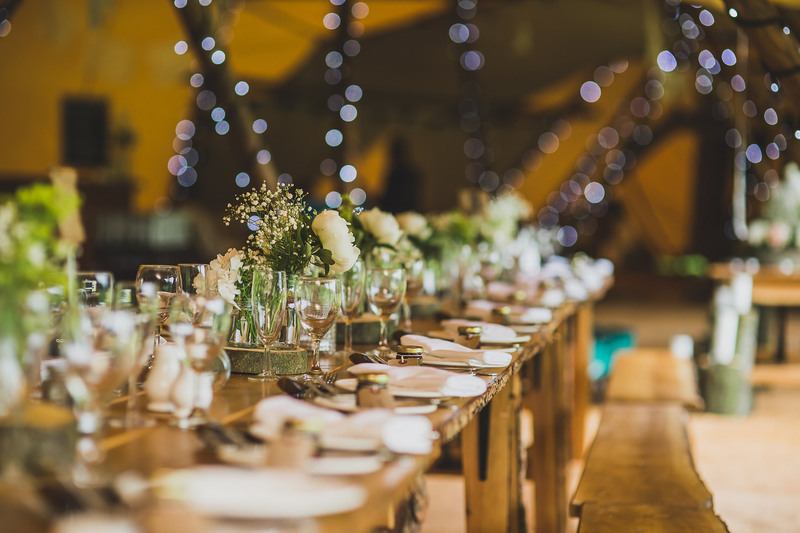 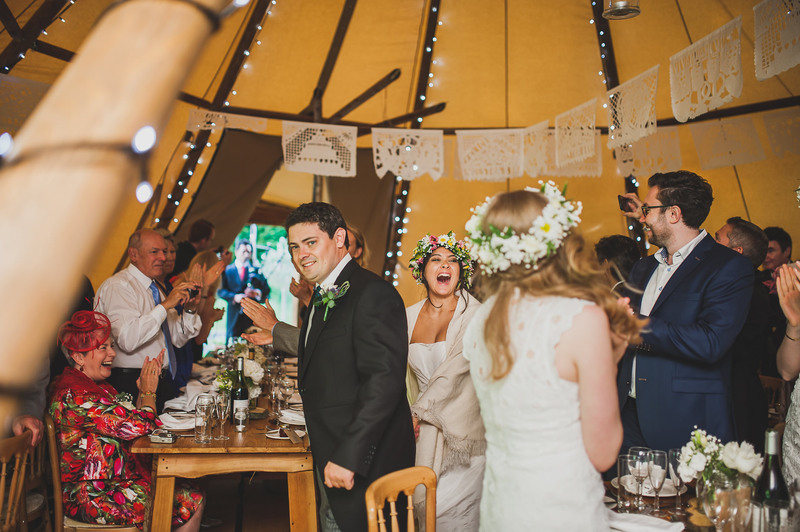 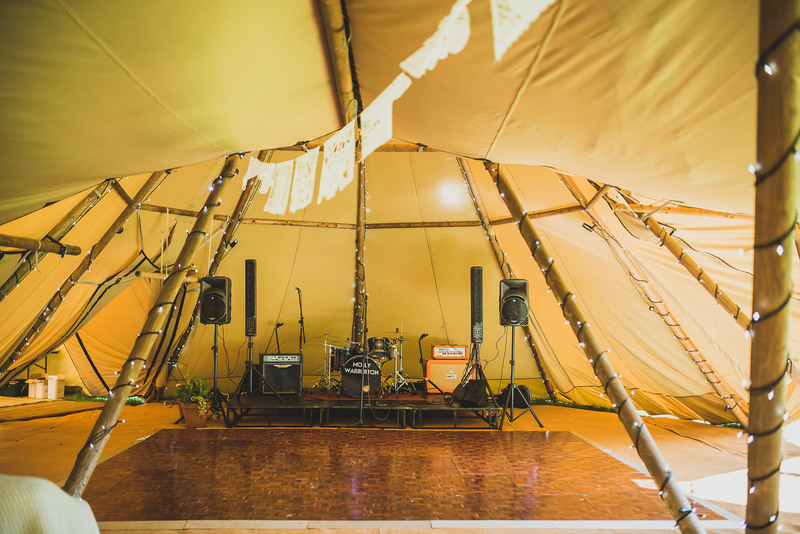 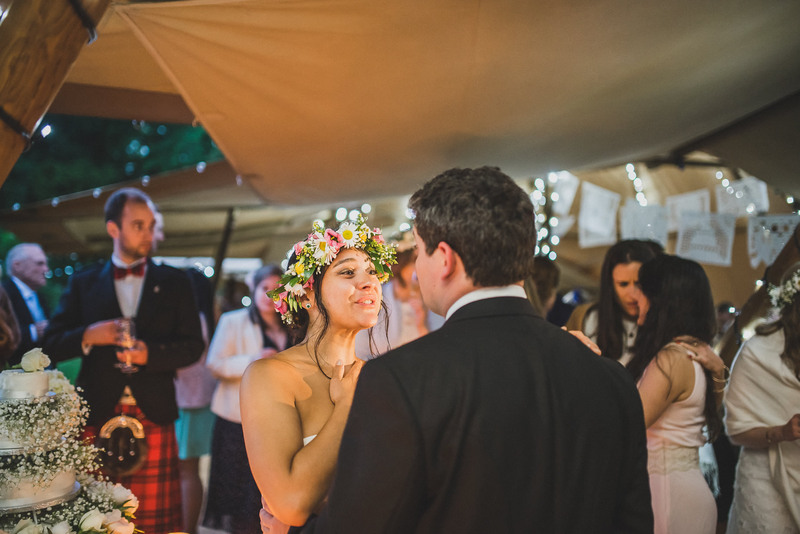 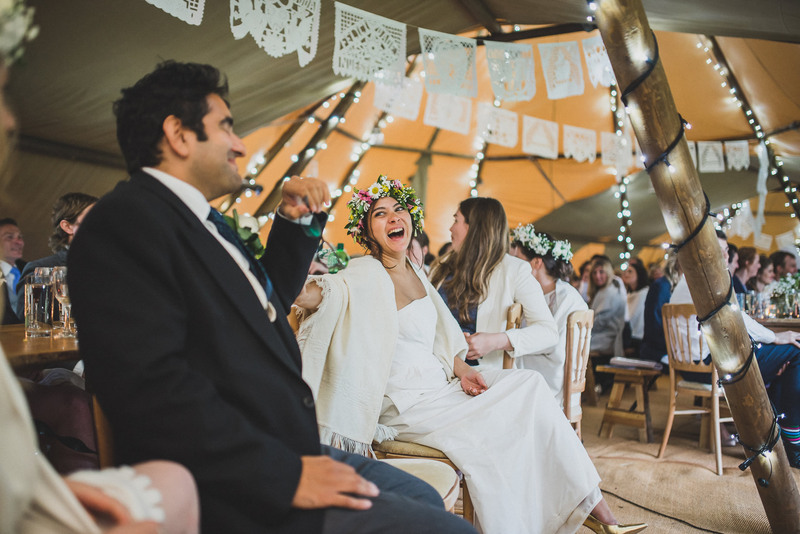 The reception was held in adjoined open-sided Tipis, decorated with an abundance of DIY accessories – it really was a fabulous day!